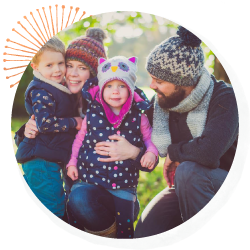 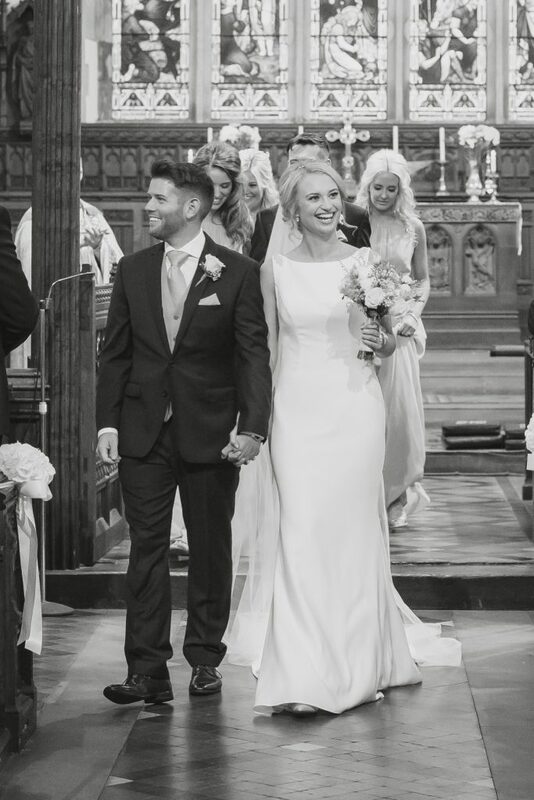 Ahhhhh Rob + Alice – I just smile every time I think of them – I don’t think their smiles dropped all day, in fact nobodies did. 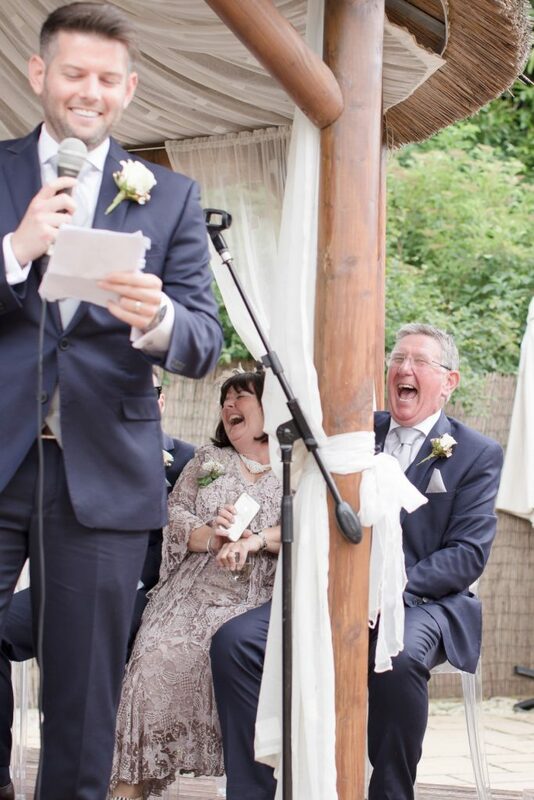 Not even mine (they fed me)! 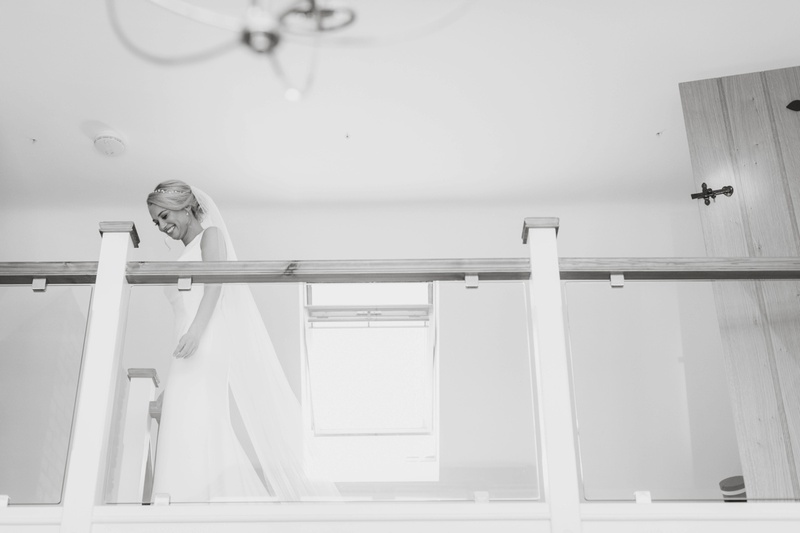 but mostly because everything about this day was just freaking awesome and happy. 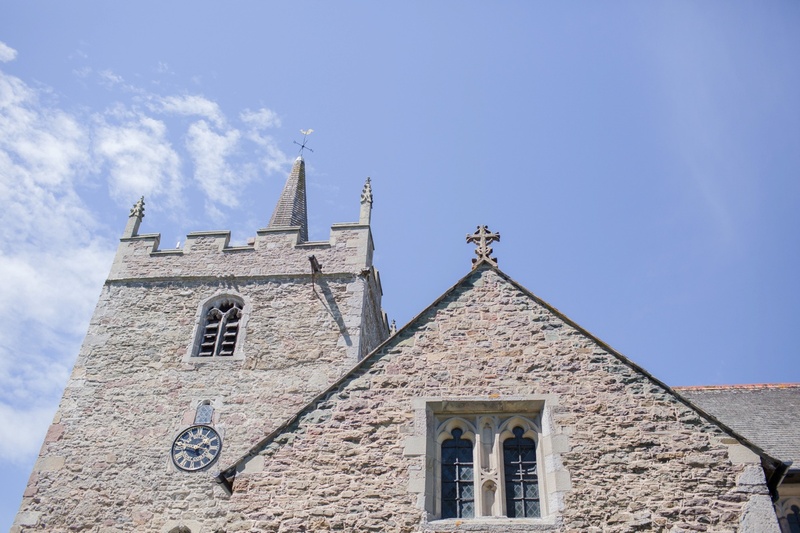 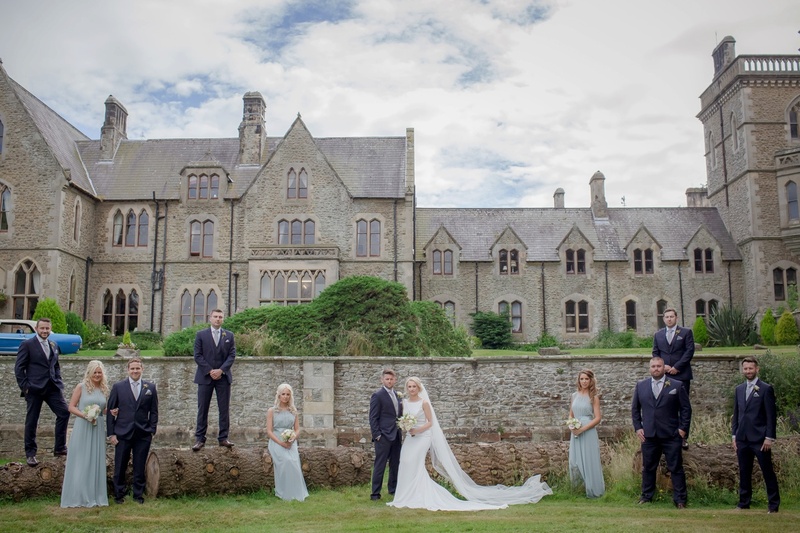 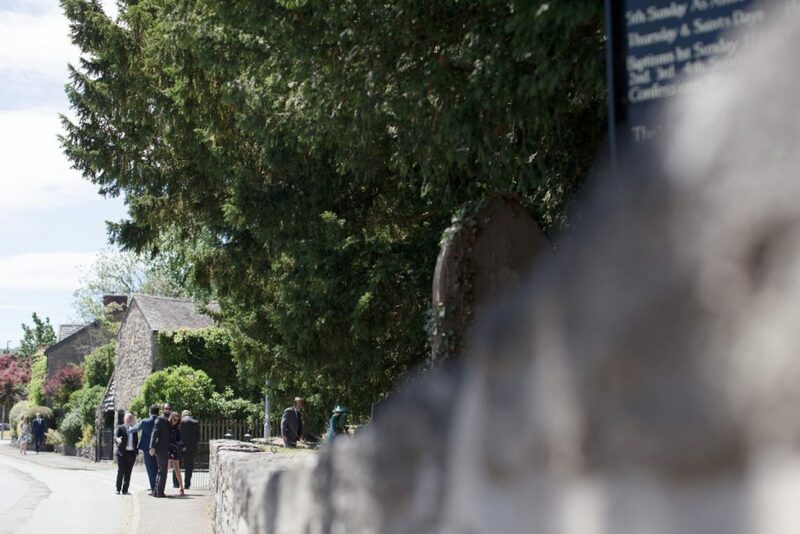 The wedding was in Guilsfield Church and then celebrated in Mellington Hall on a beautiful sunny July day. 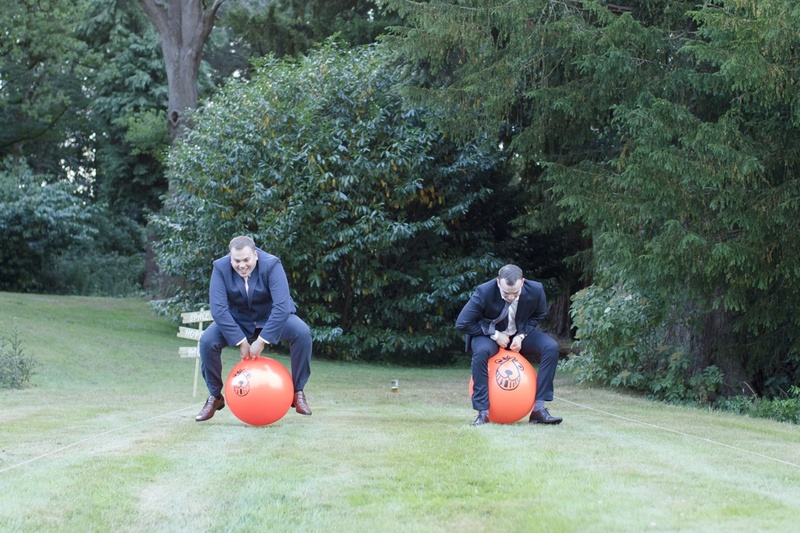 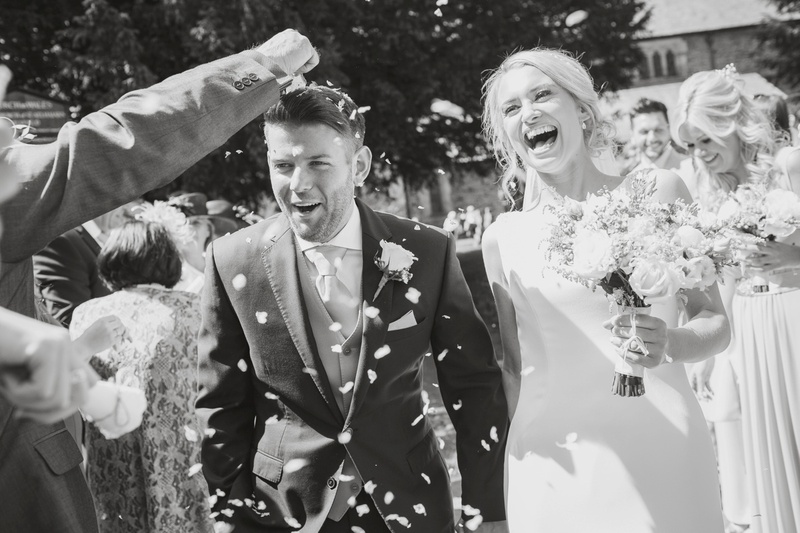 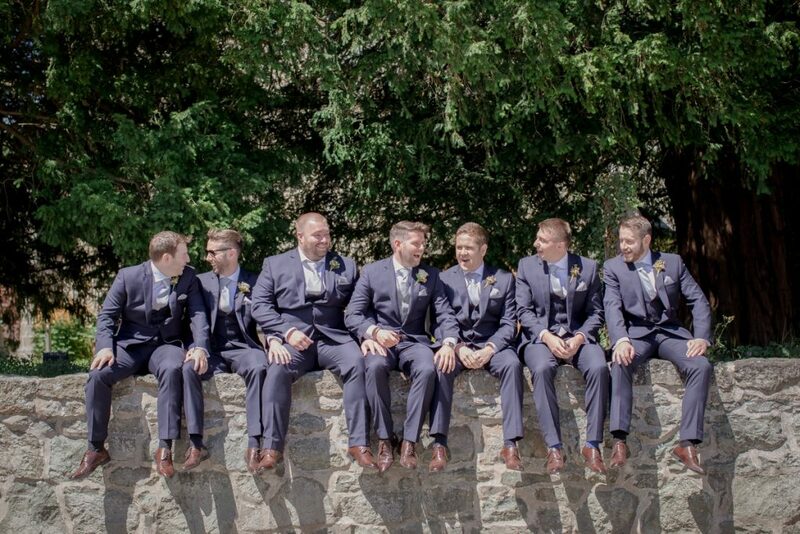 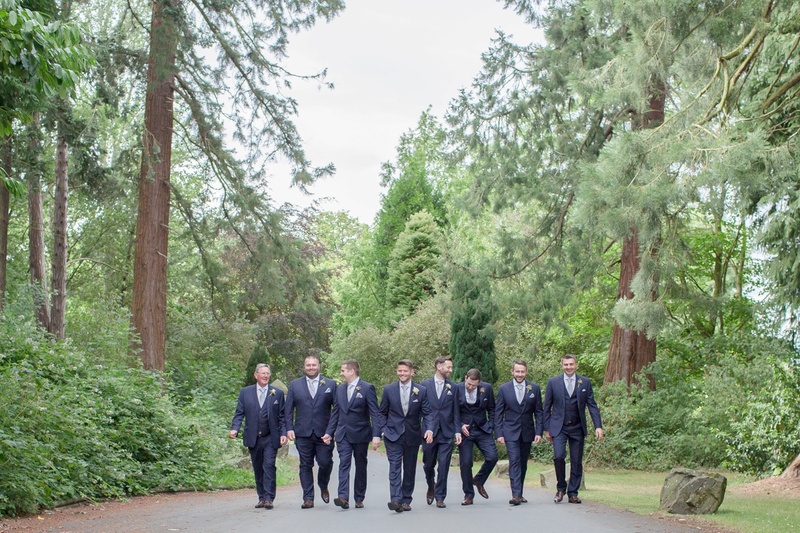 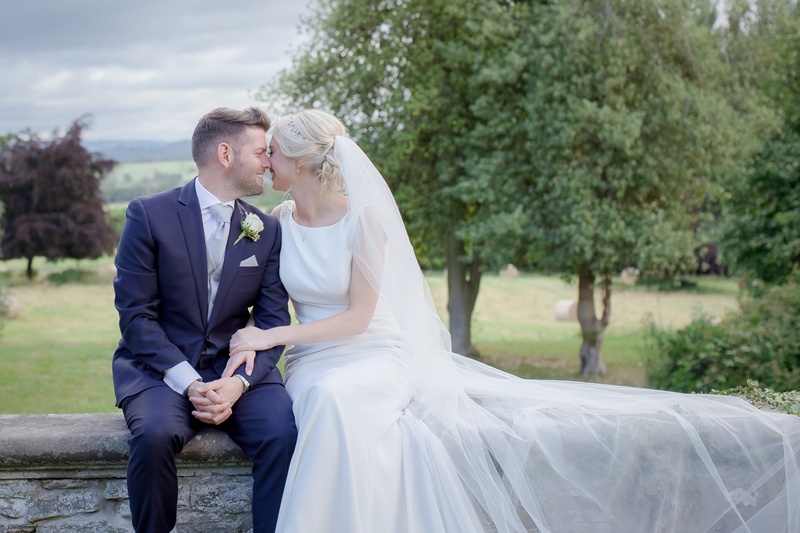 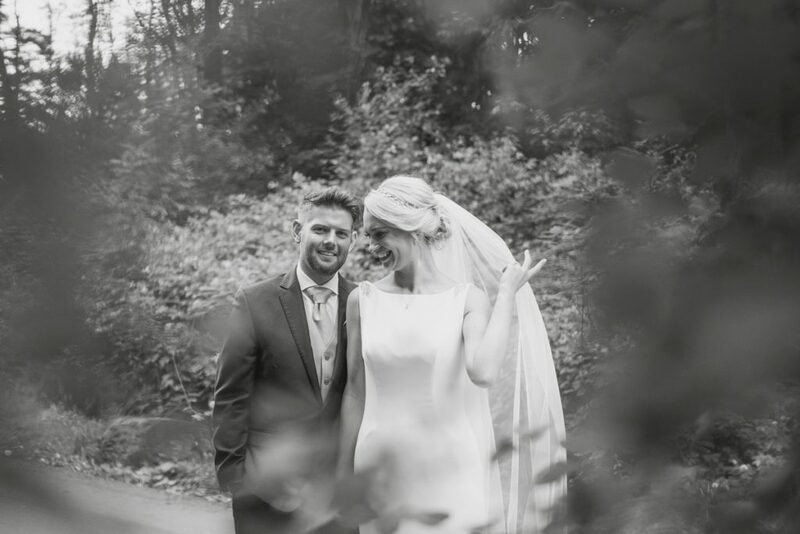 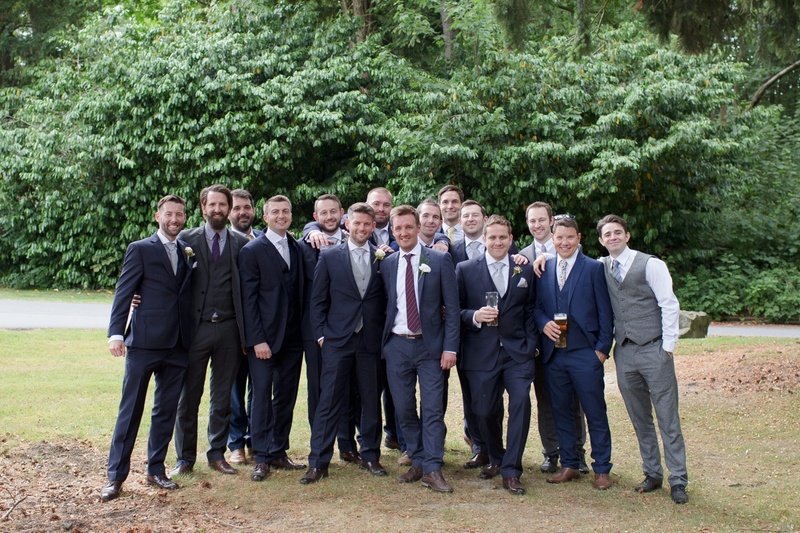 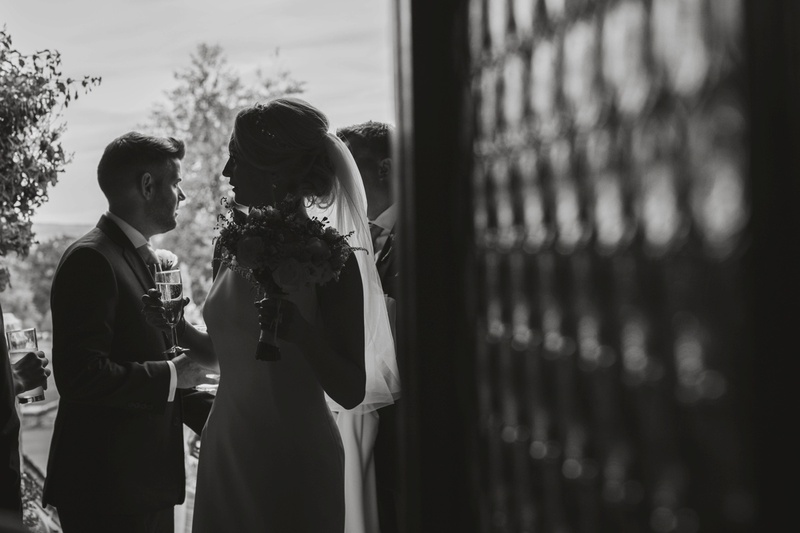 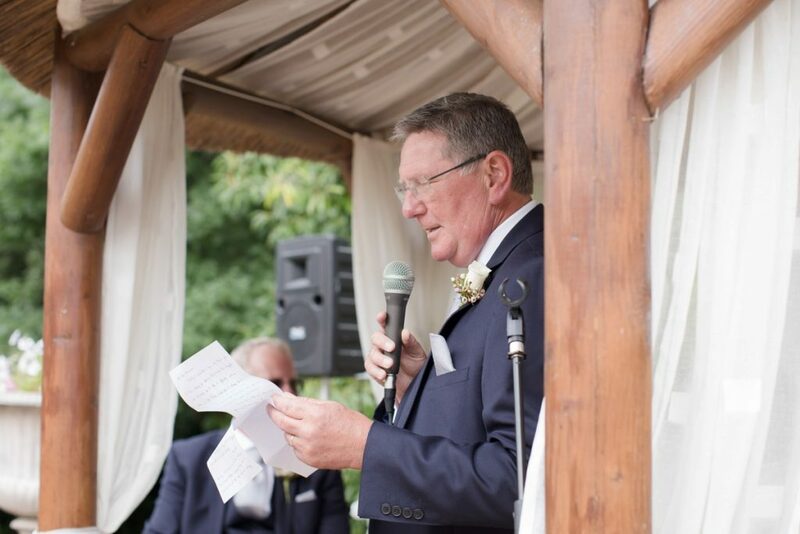 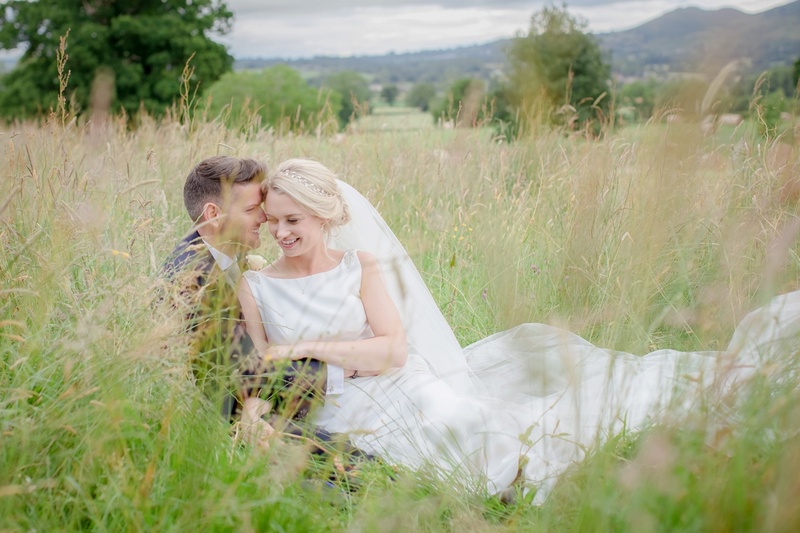 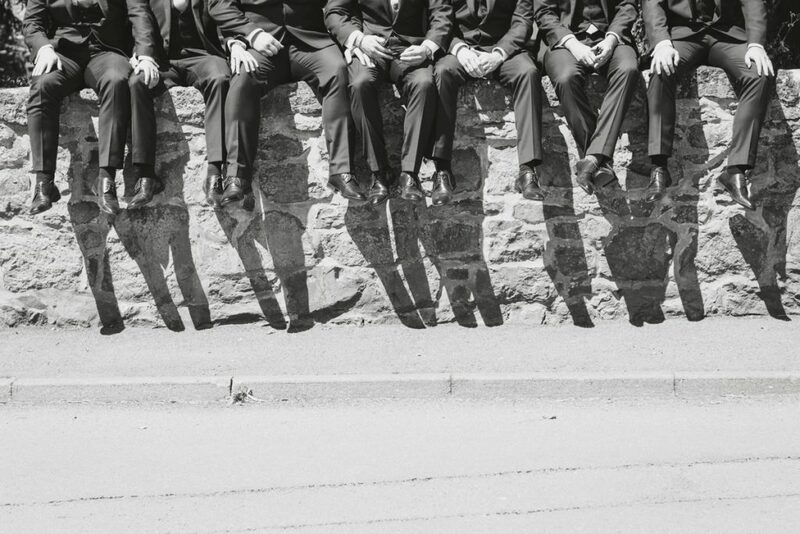 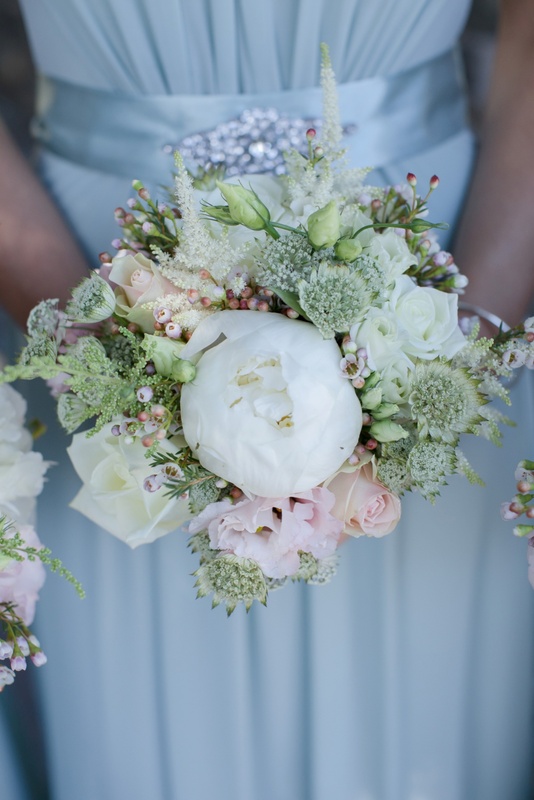 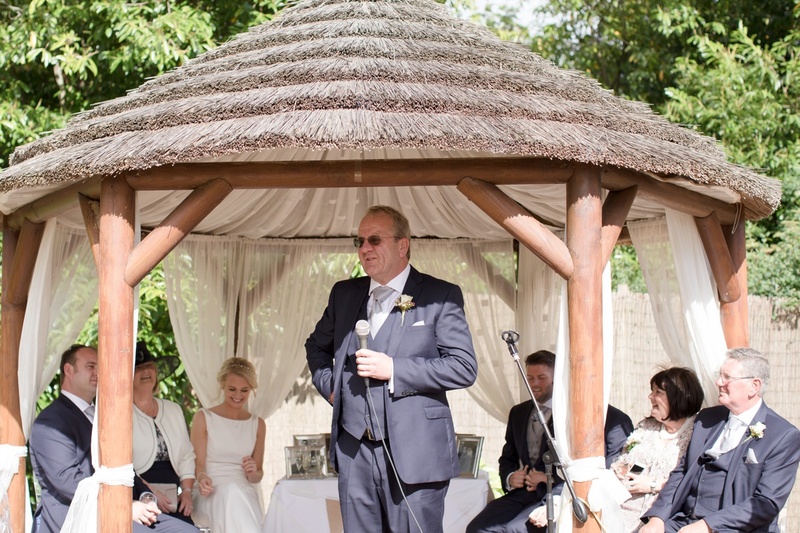 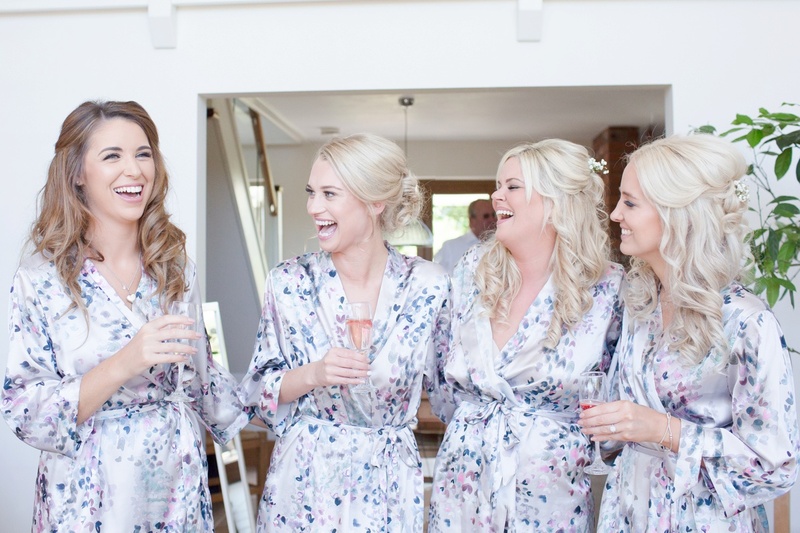 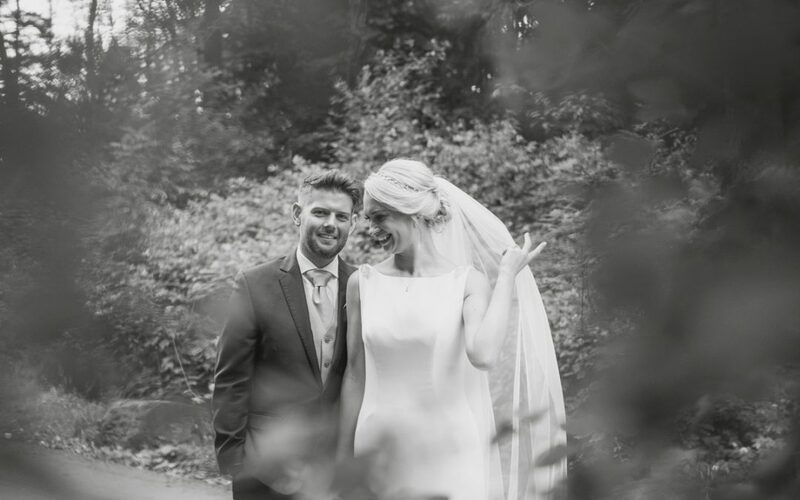 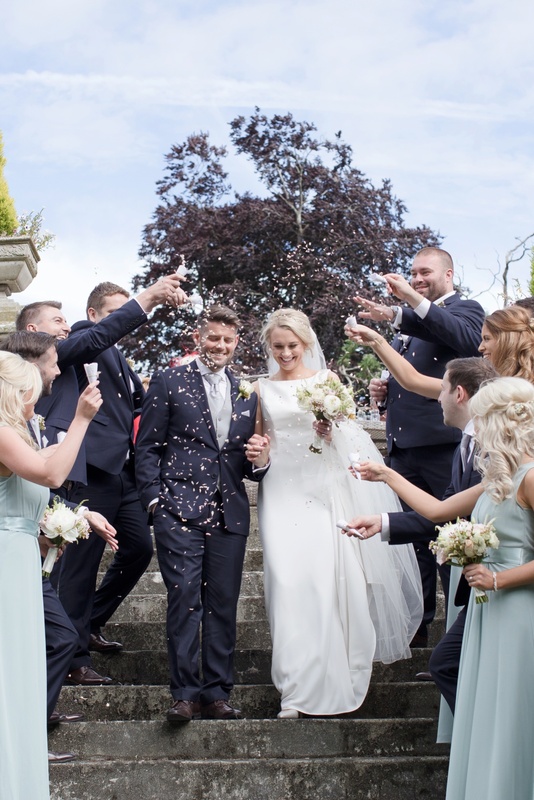 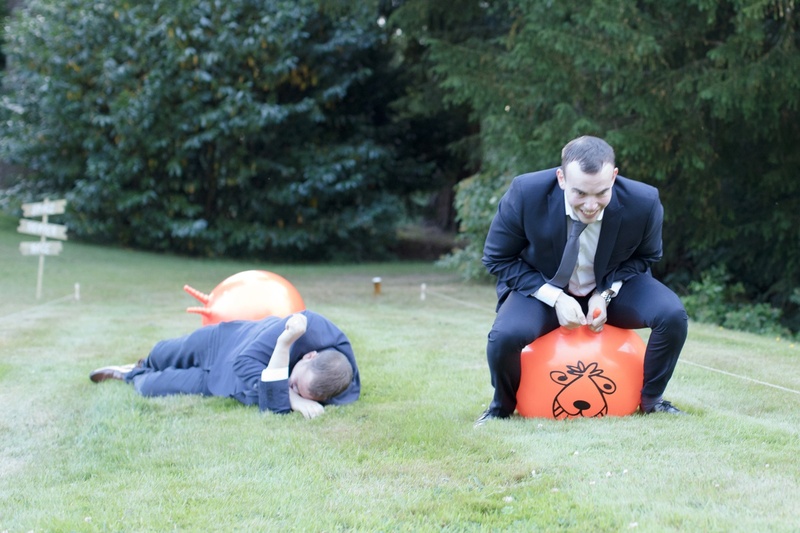 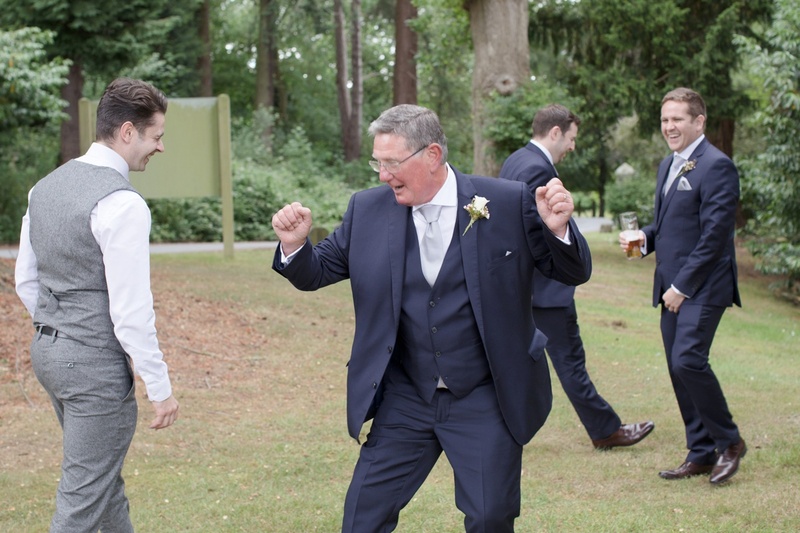 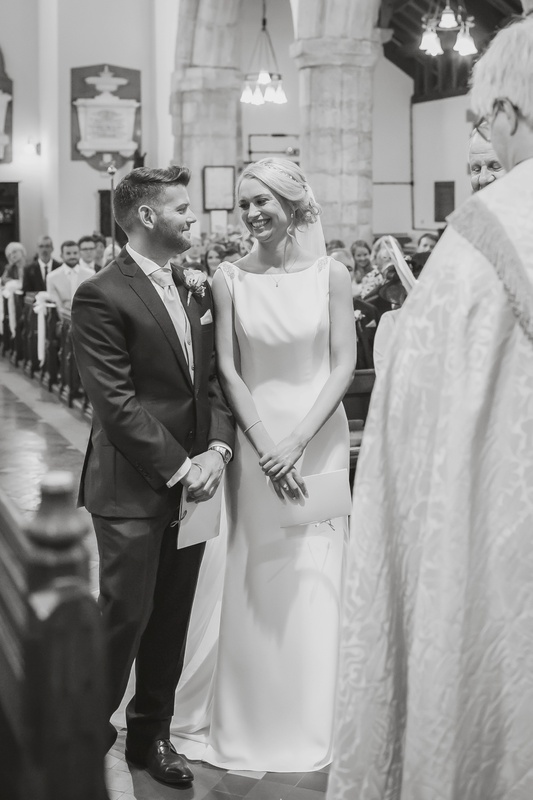 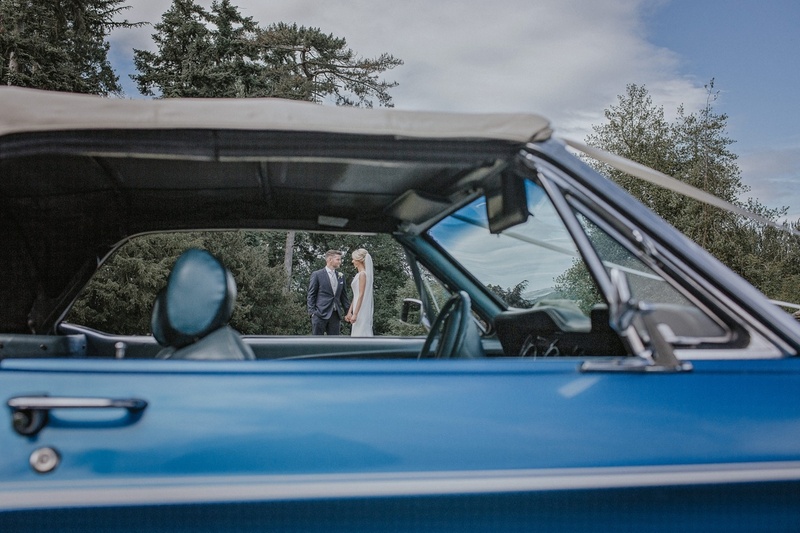 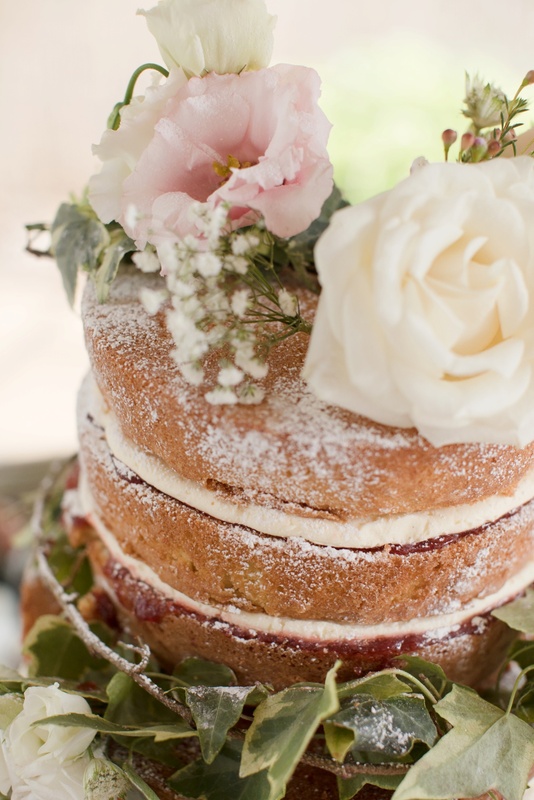 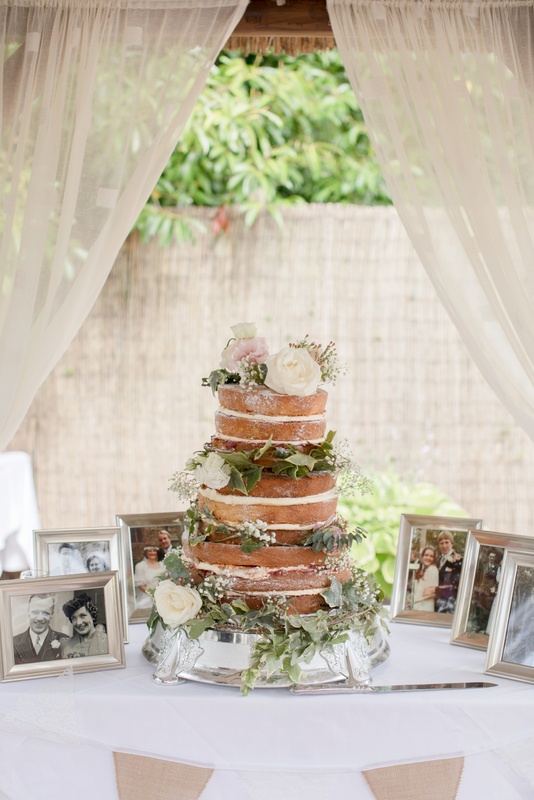 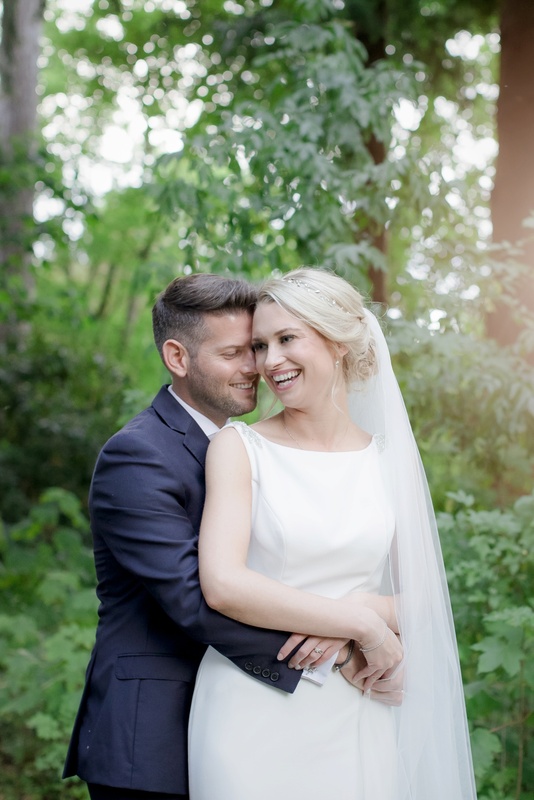 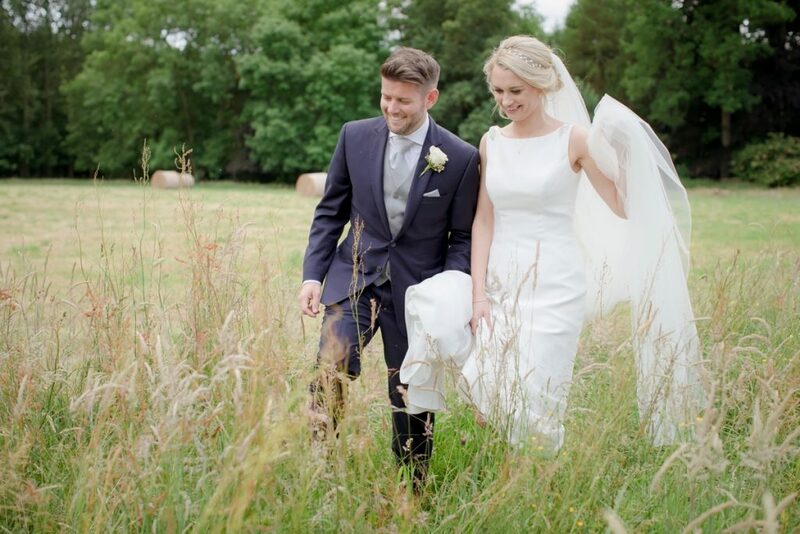 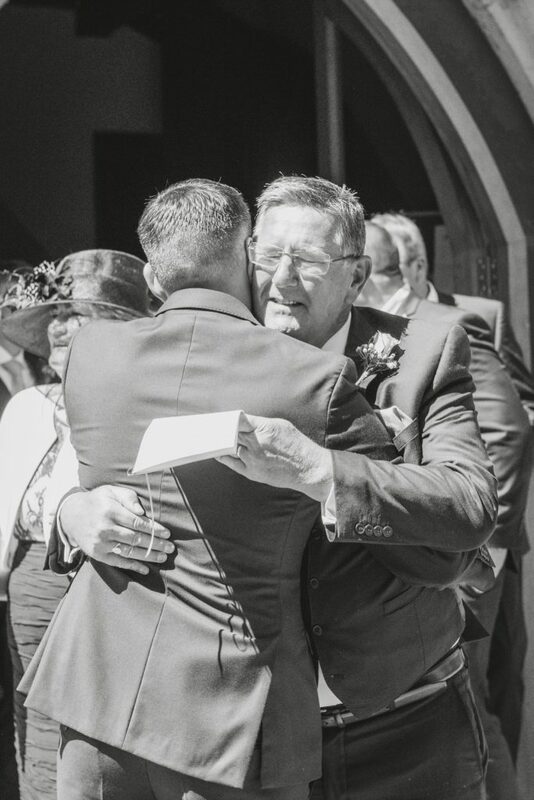 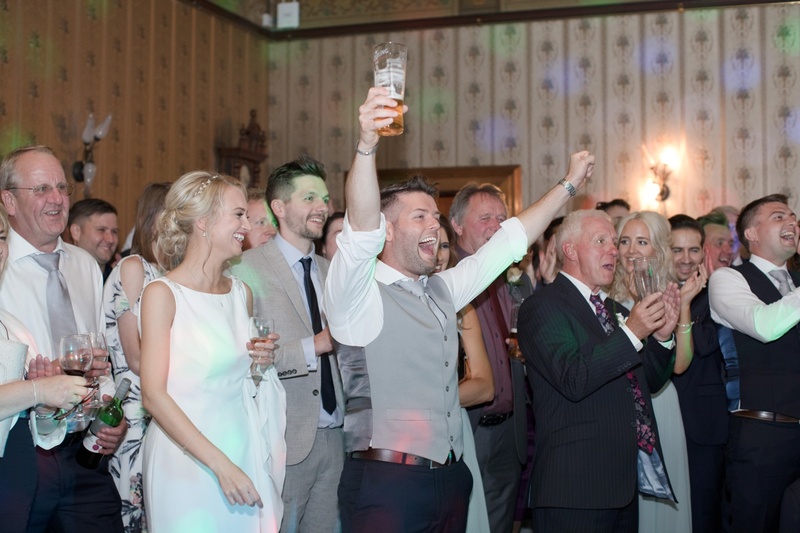 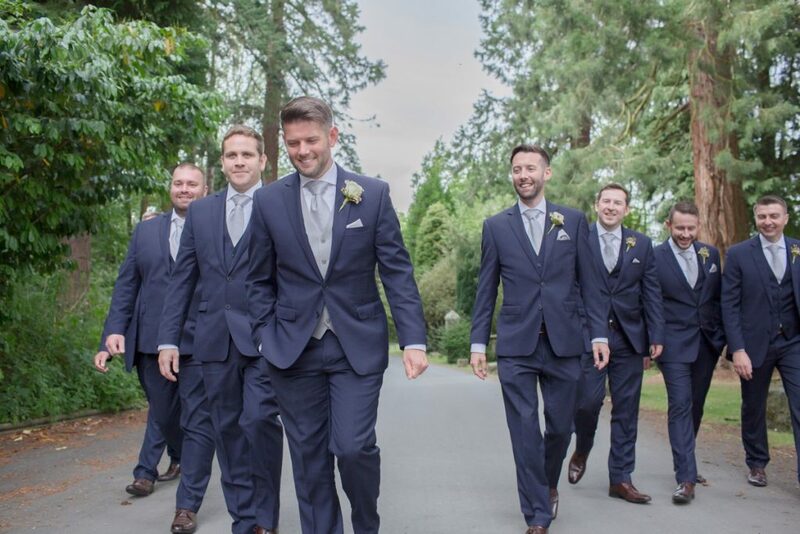 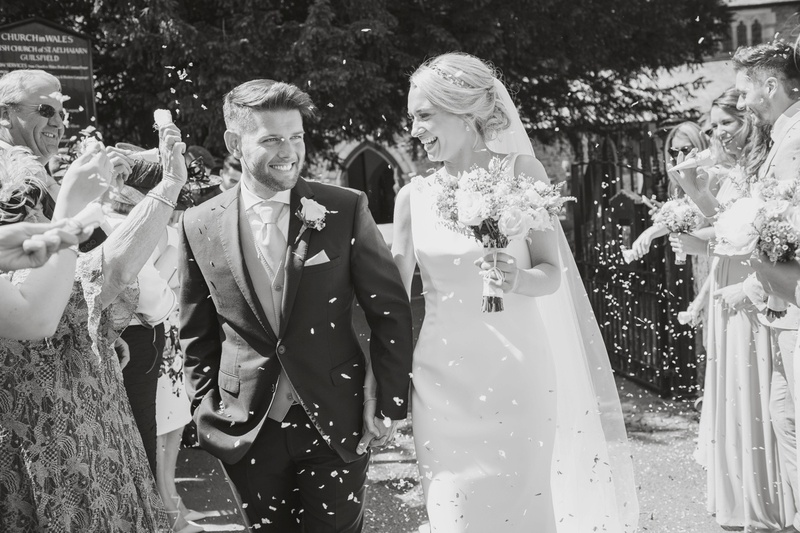 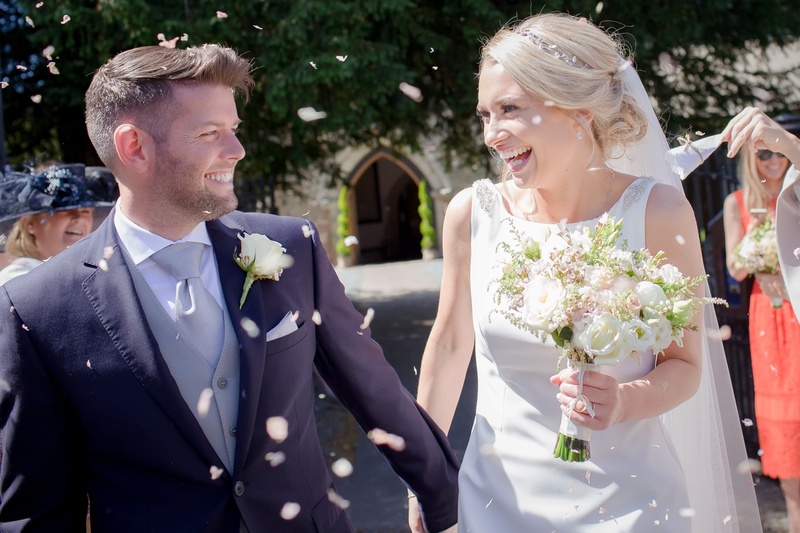 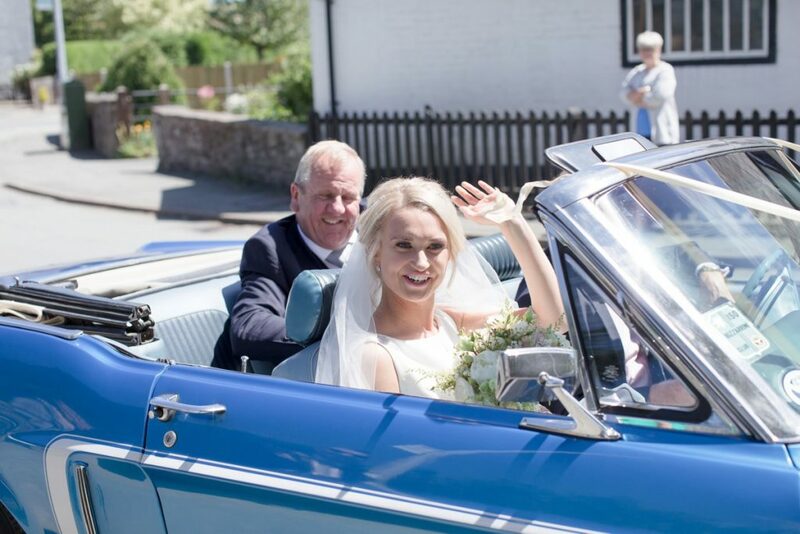 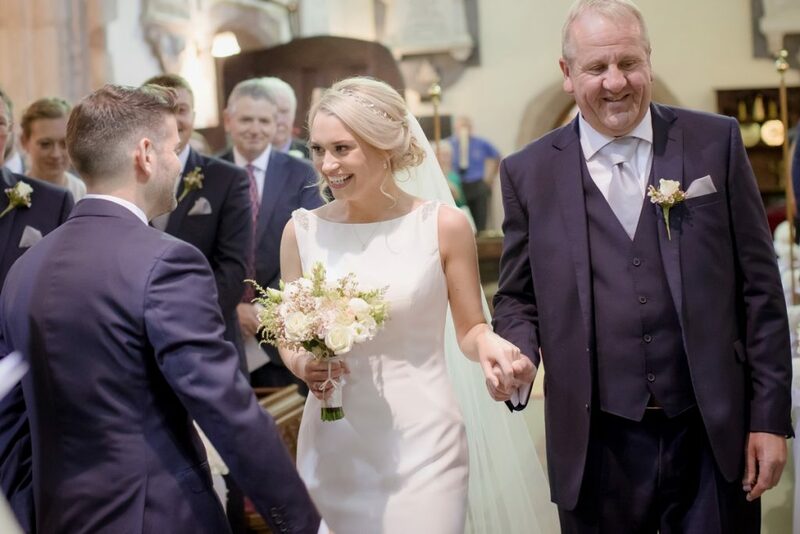 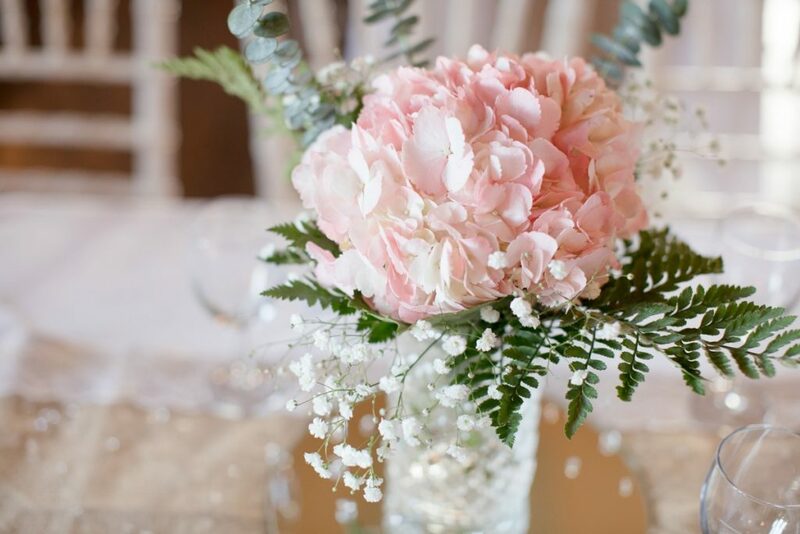 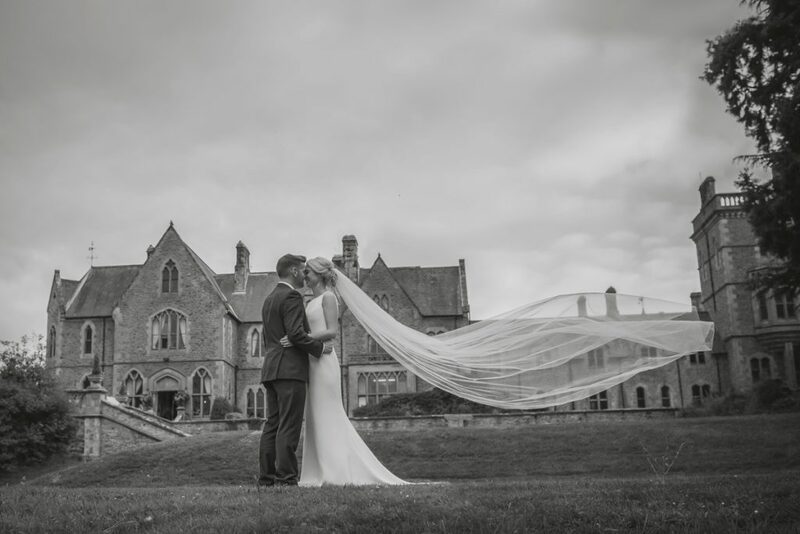 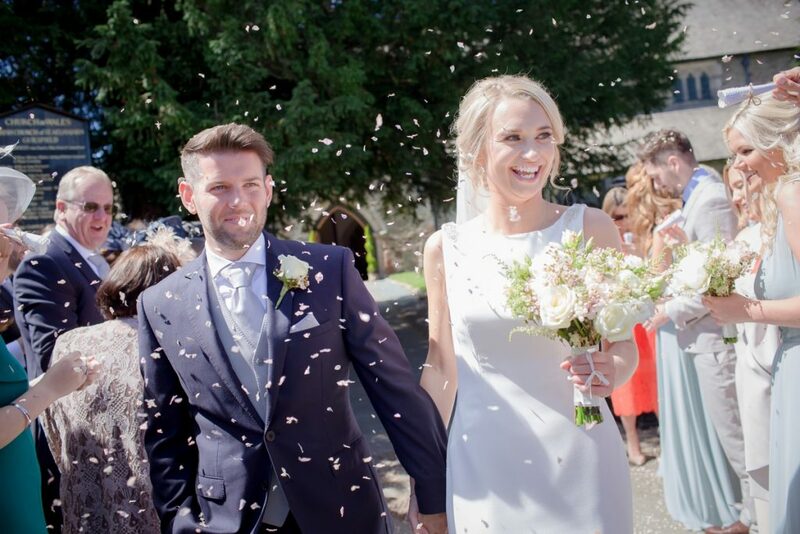 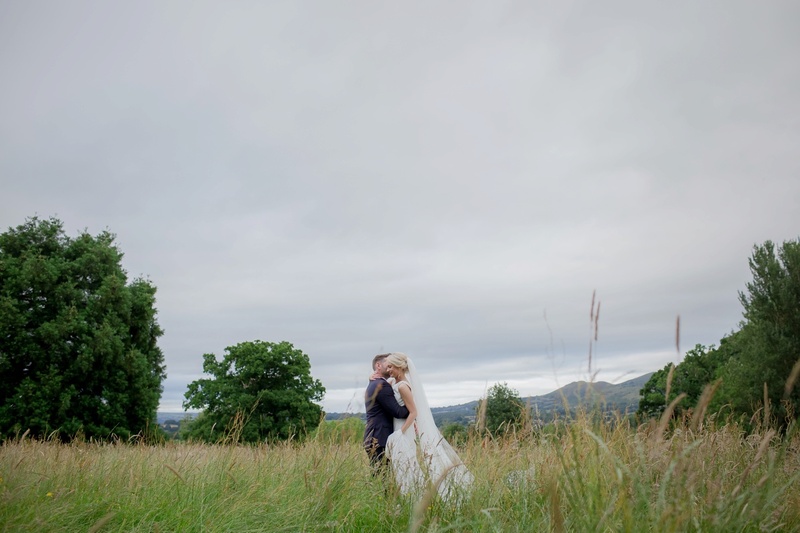 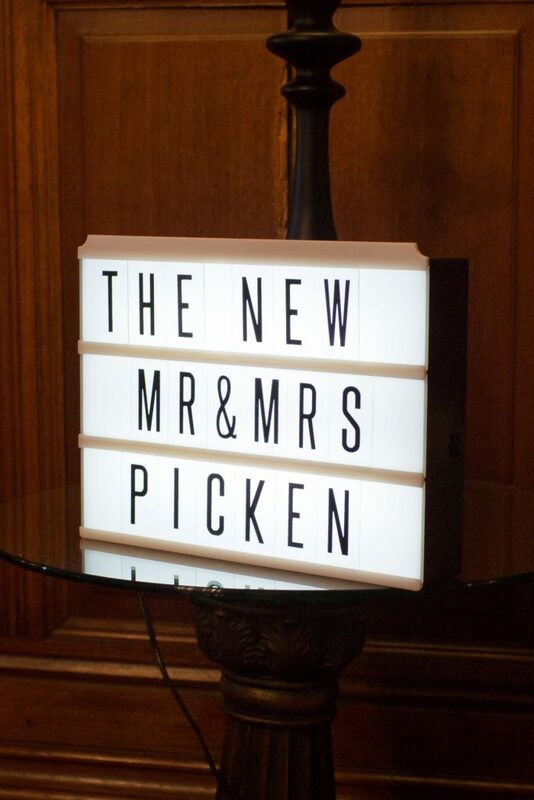 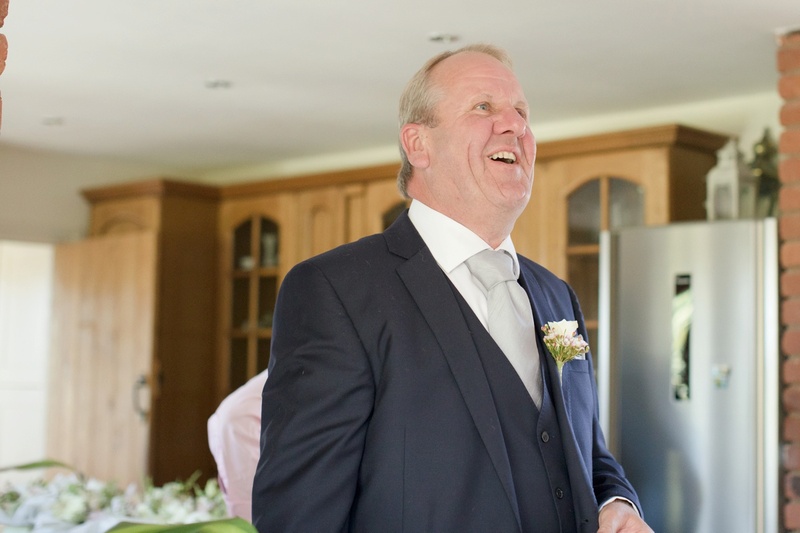 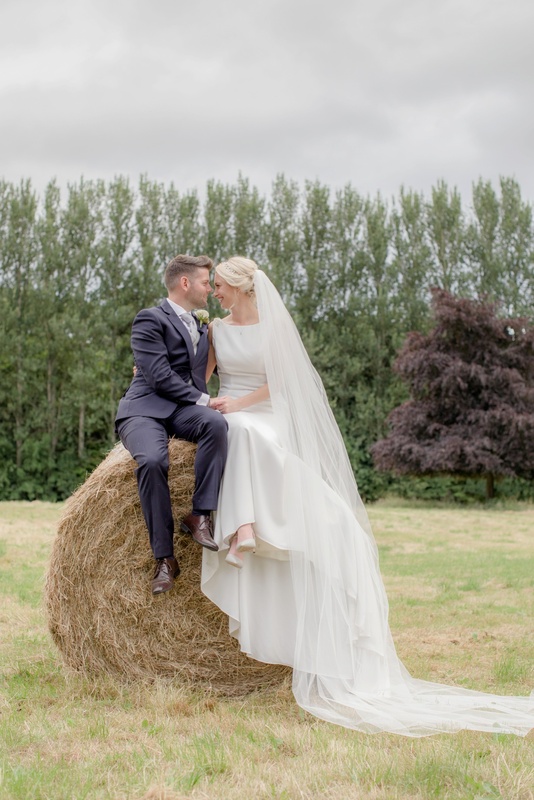 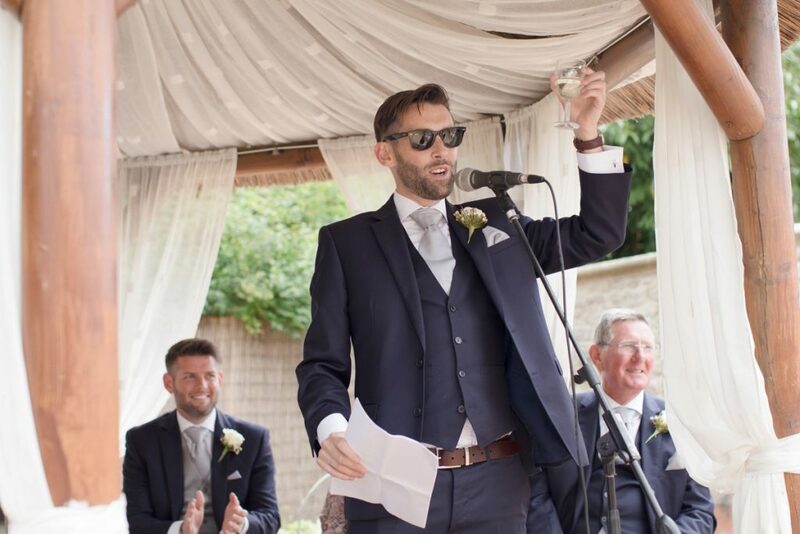 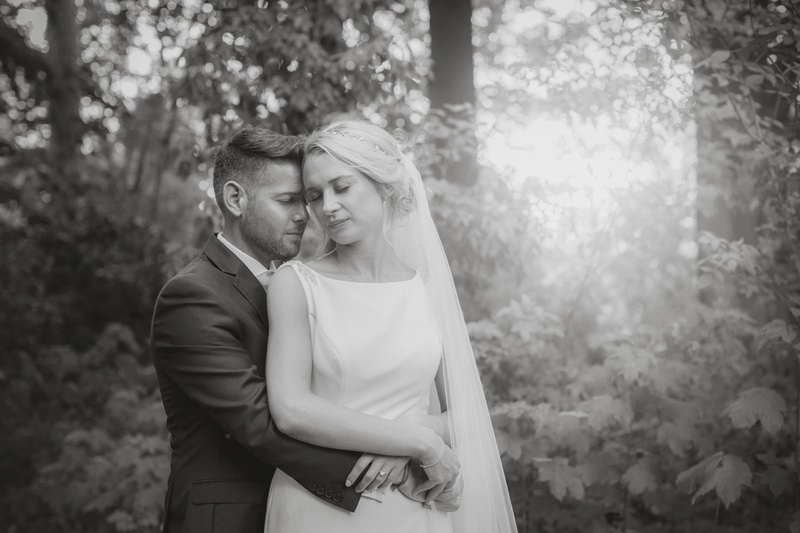 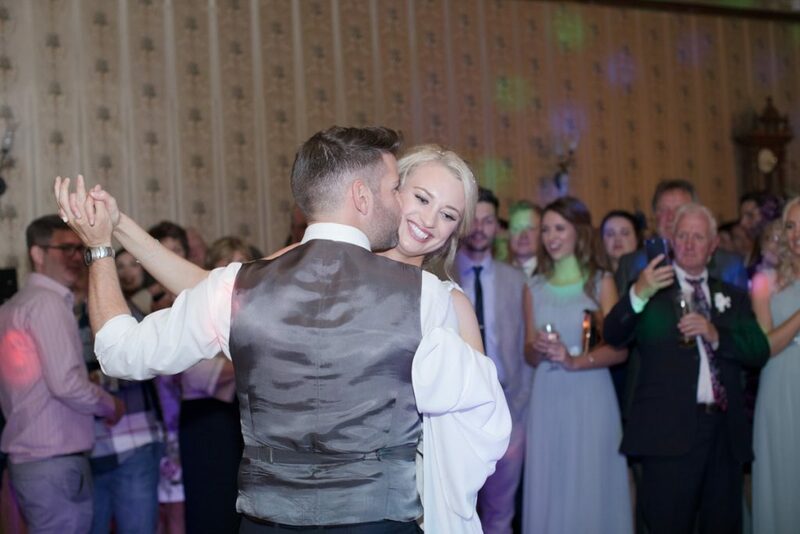 Rob and Alice wanted a very relaxed and fun wedding day celebrating with family and friends. 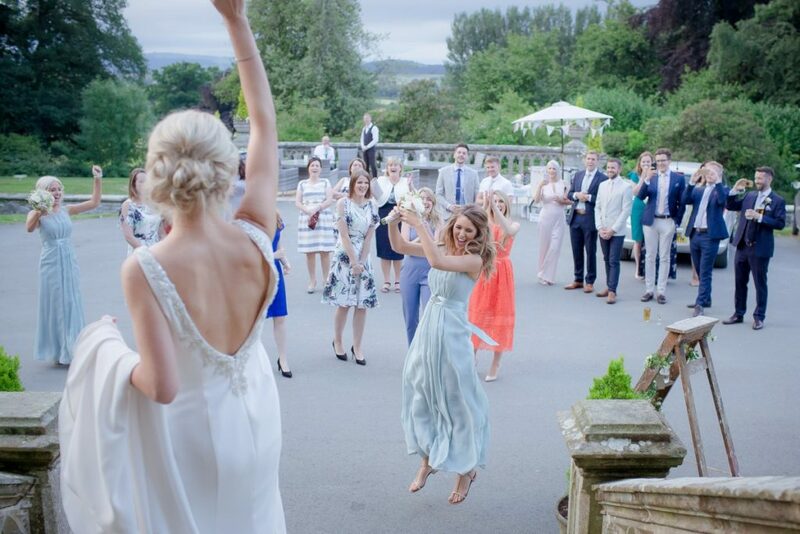 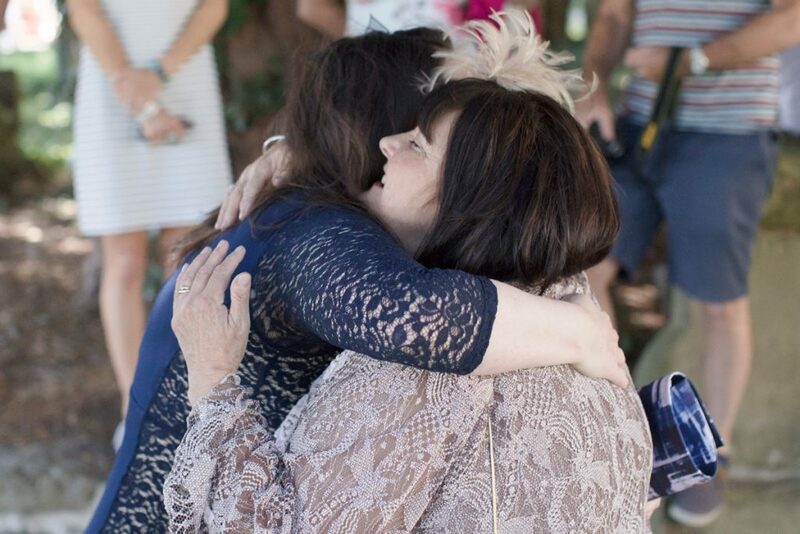 They had garden games, speeches outside on the terrace and BBQ for dinner – it was such a relaxed vibe all day. 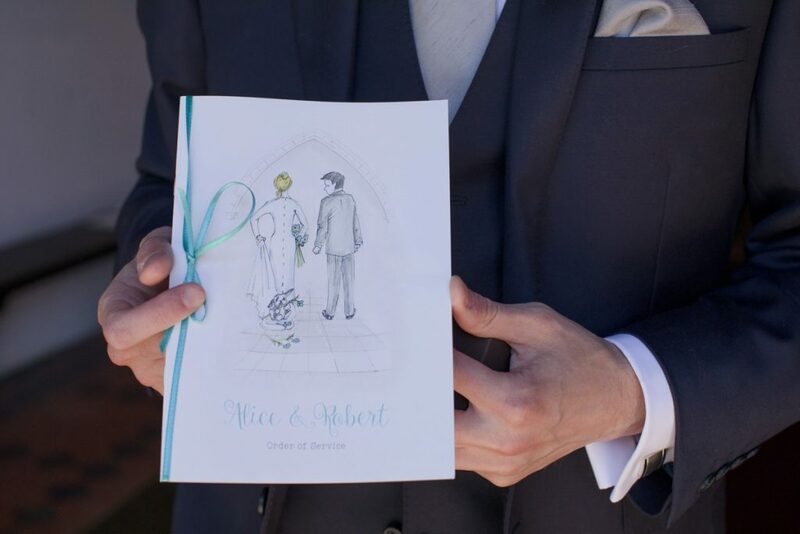 It was obvious that involving friends and family in the whole day from music/readings in the church, artwork on our wedding stationary, music at the venue was really important to them. 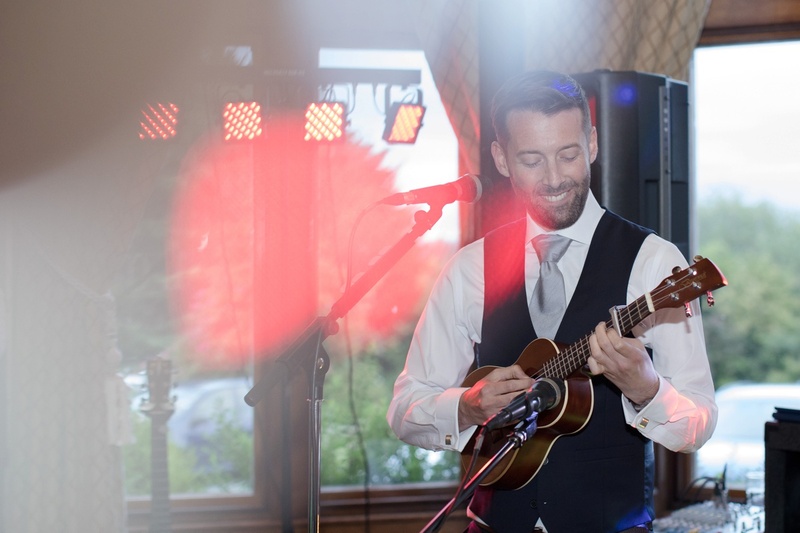 Rob’s brother even sang a song with his ukulele before the evening dancing started – I’m pretty sure he did this as he lost a bet – but he was ace! 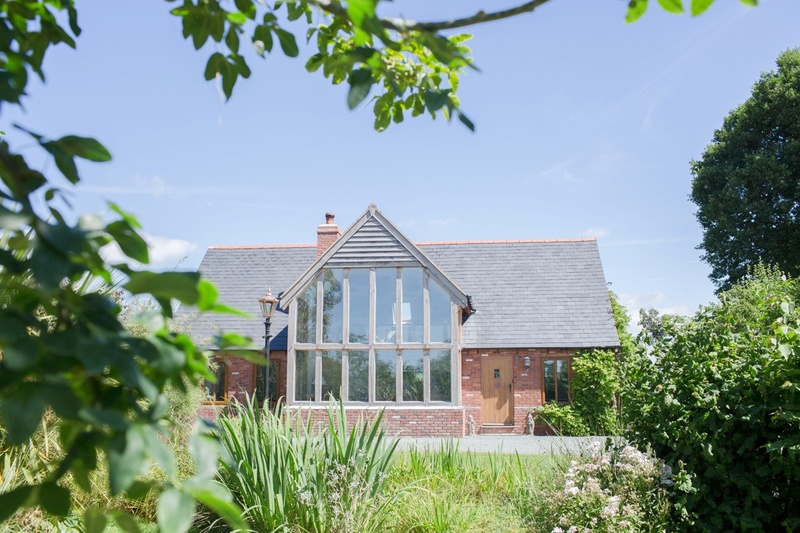 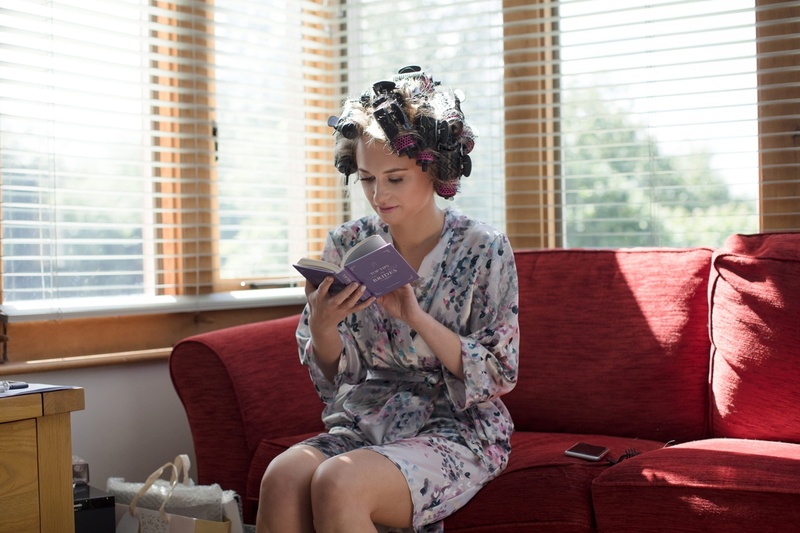 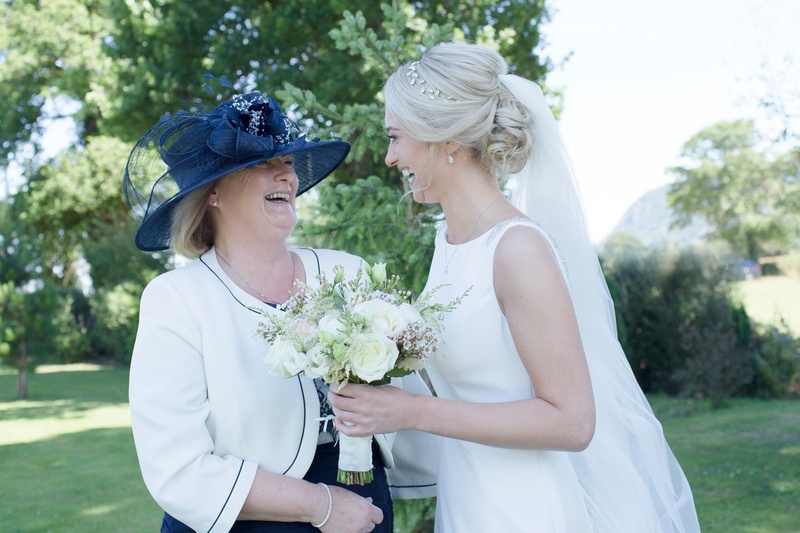 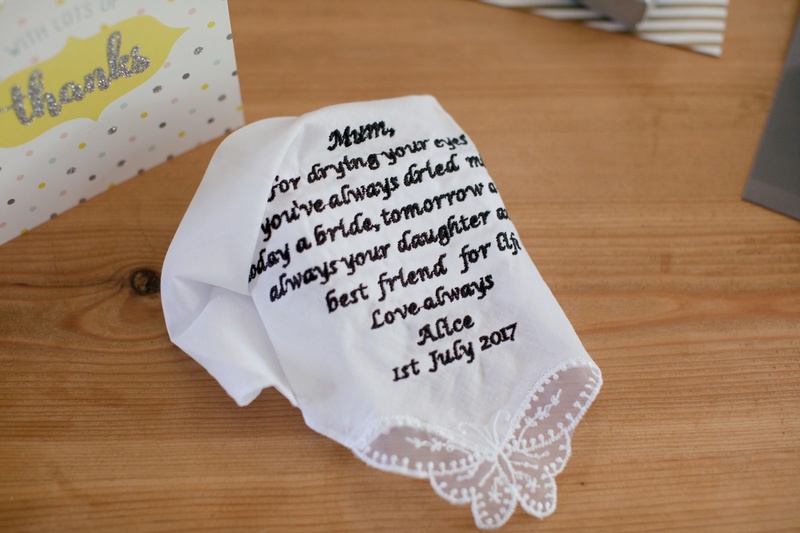 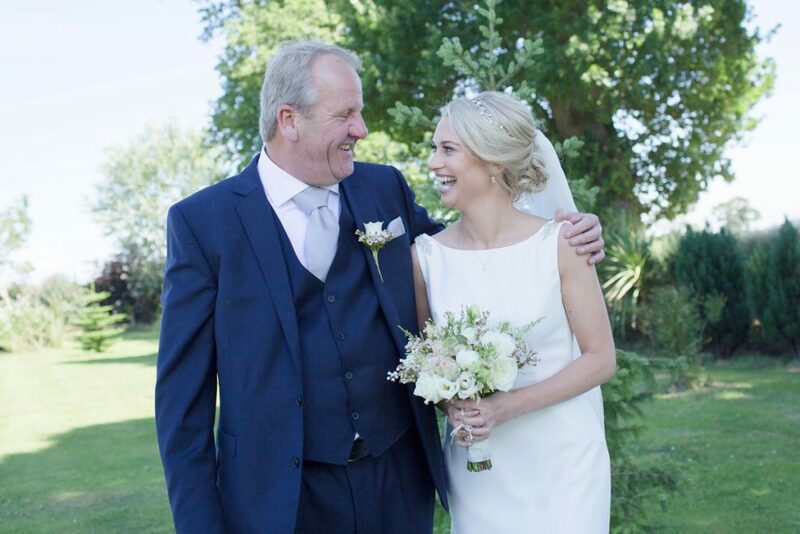 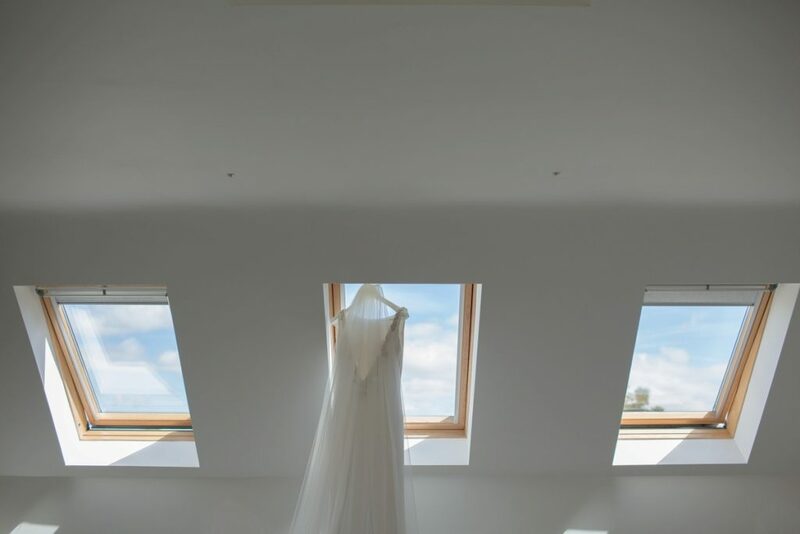 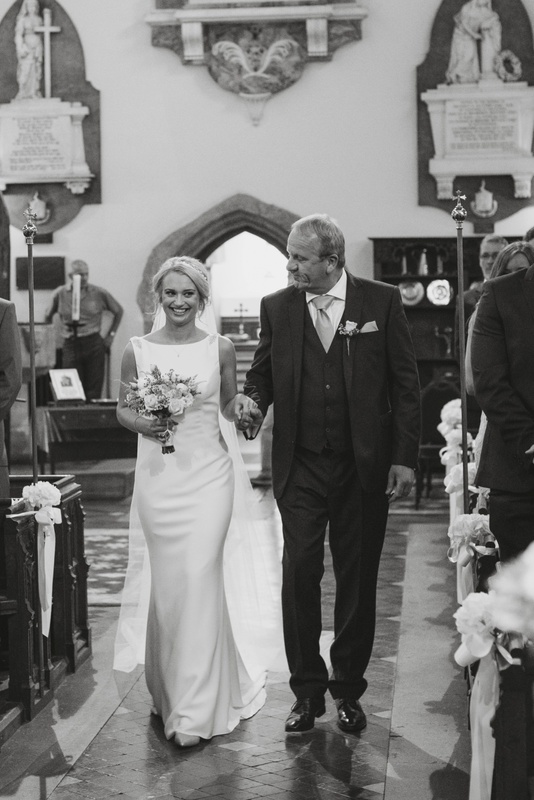 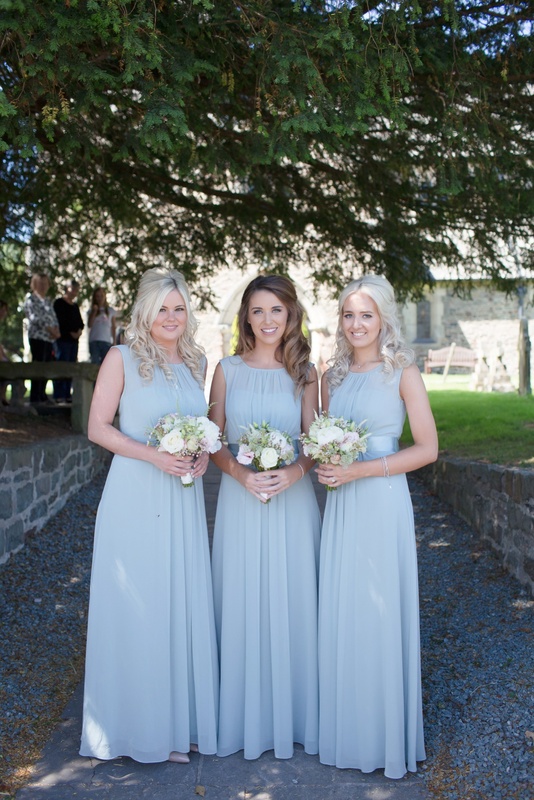 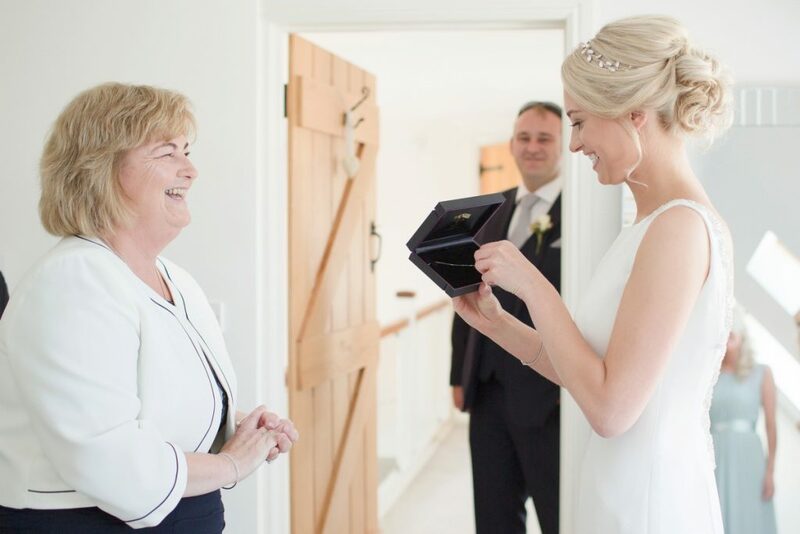 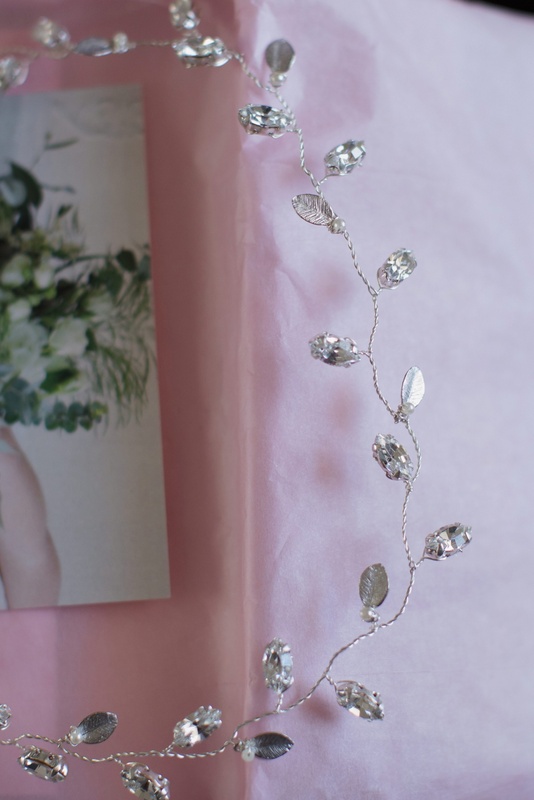 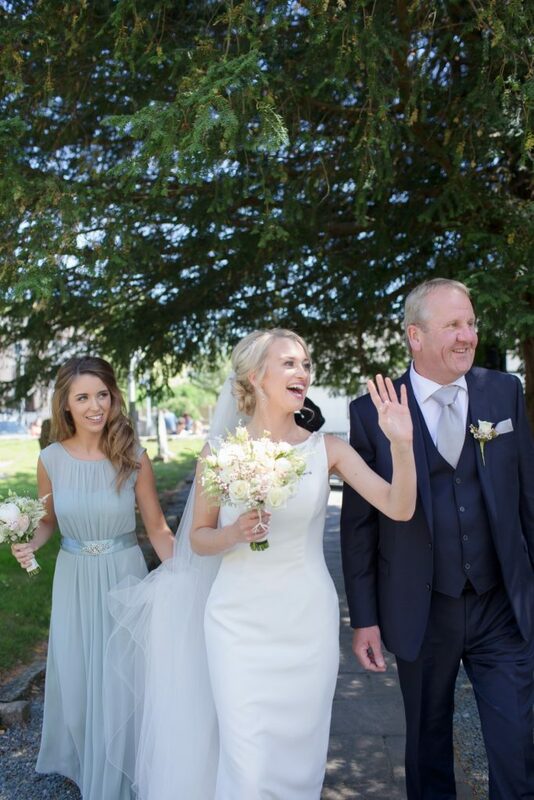 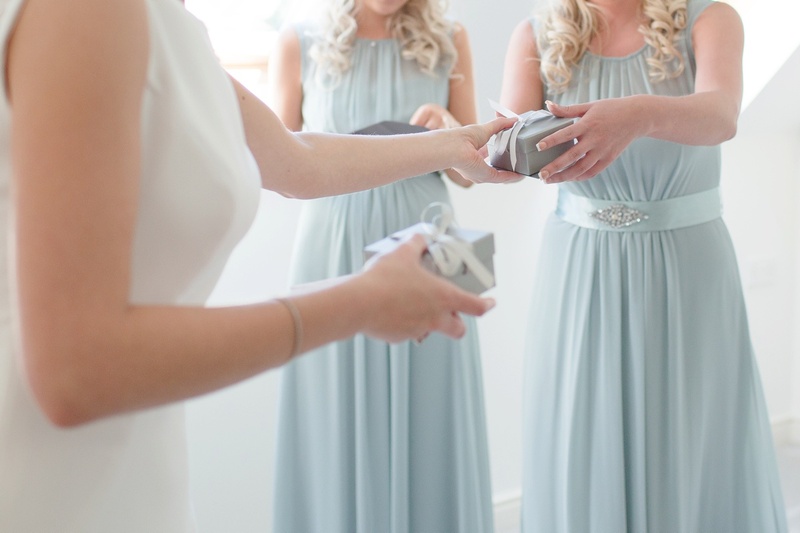 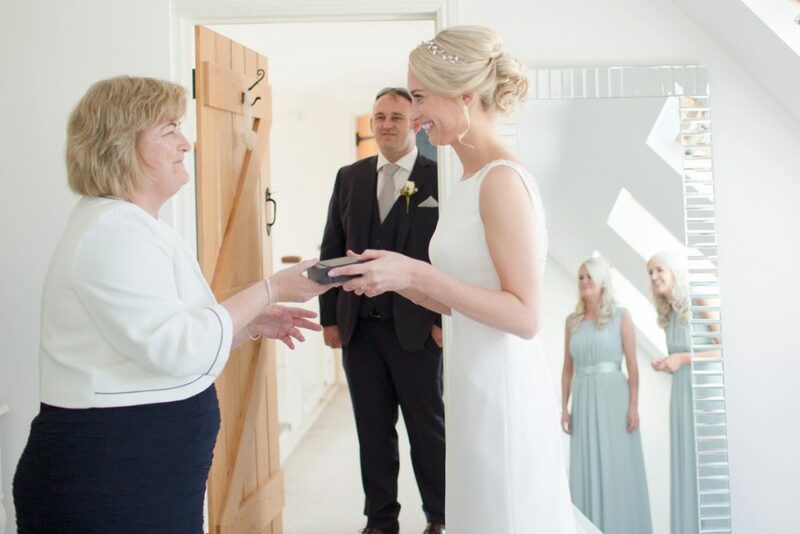 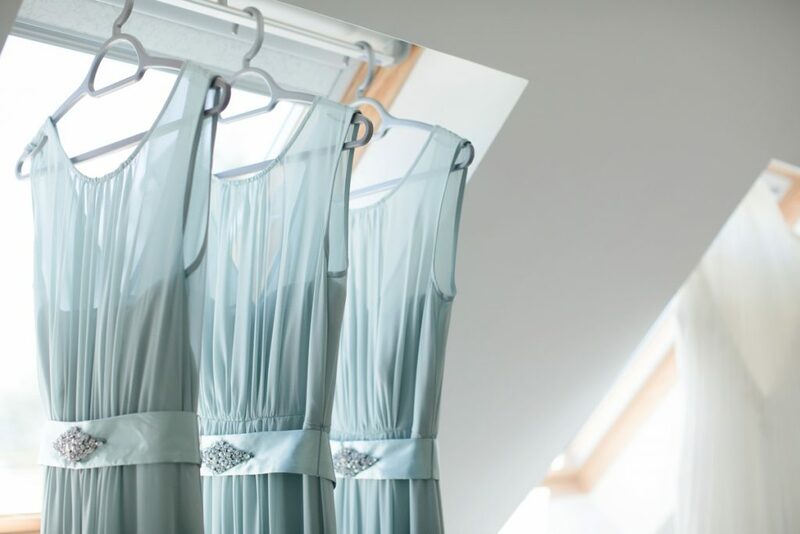 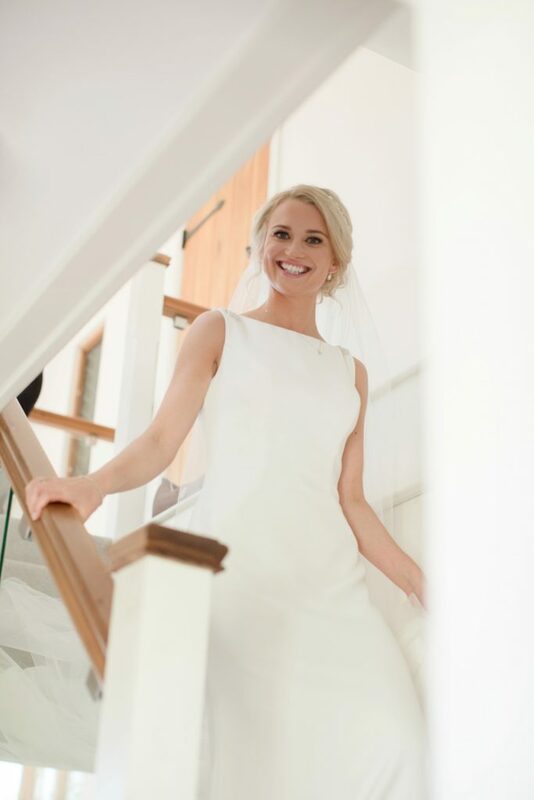 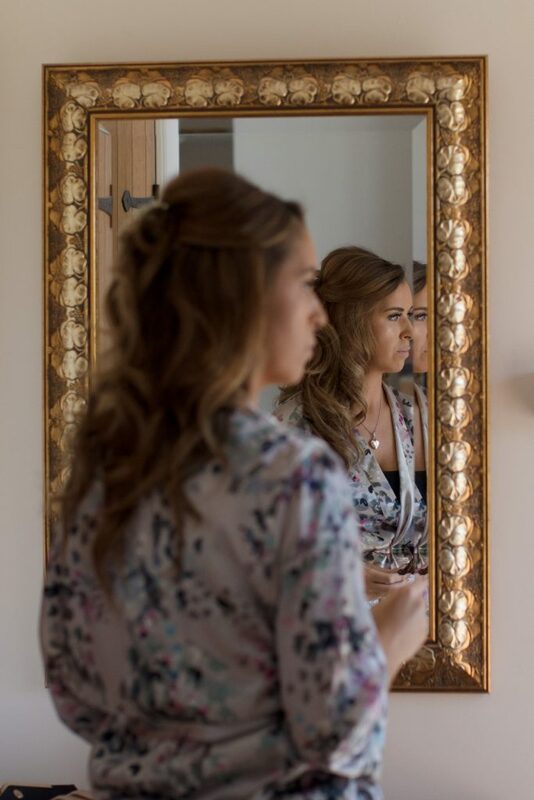 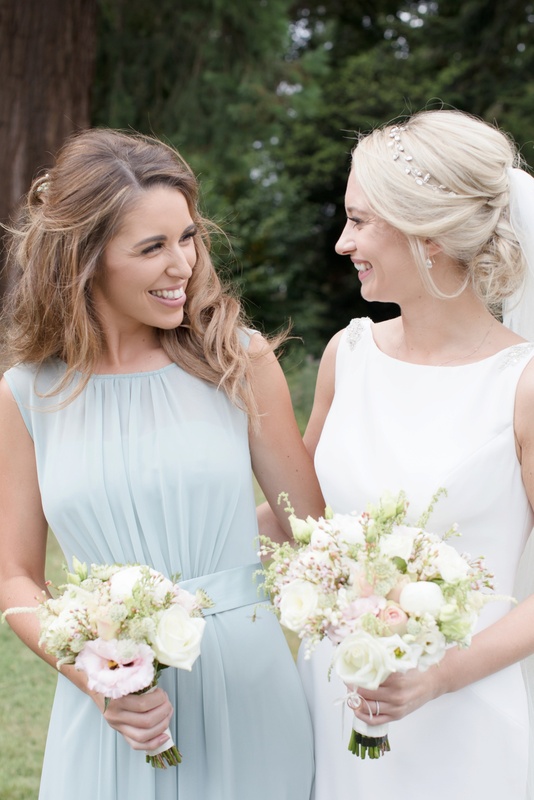 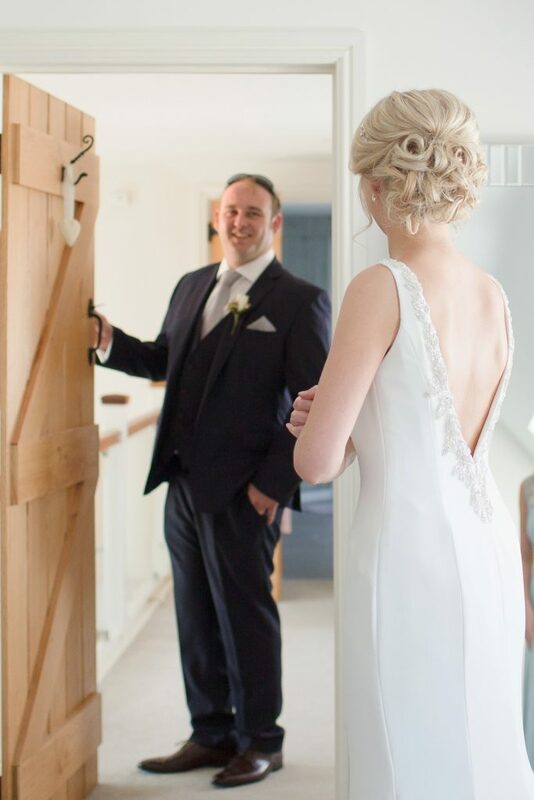 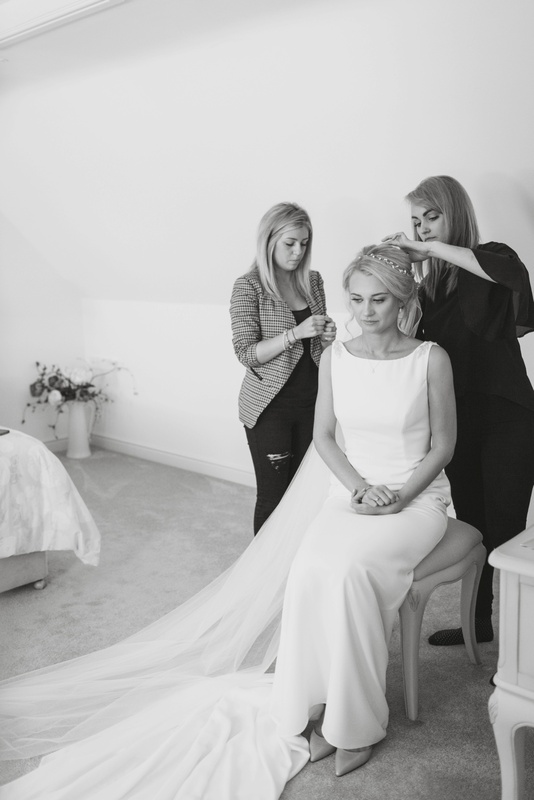 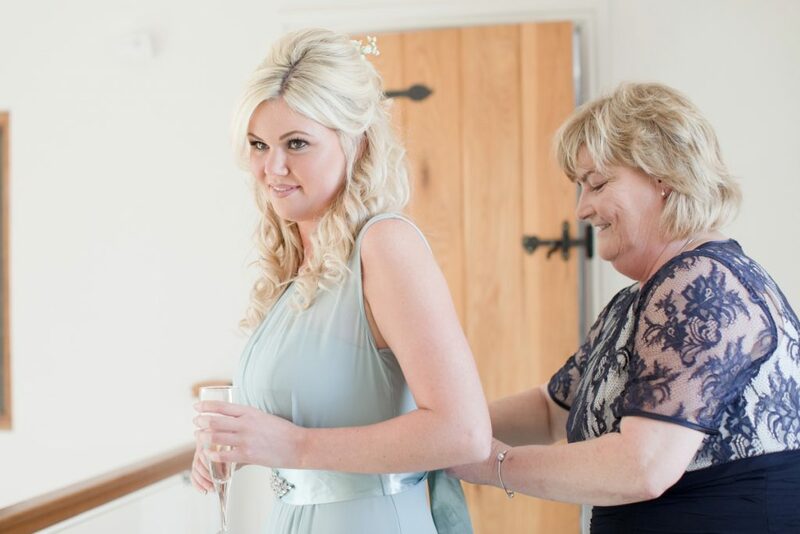 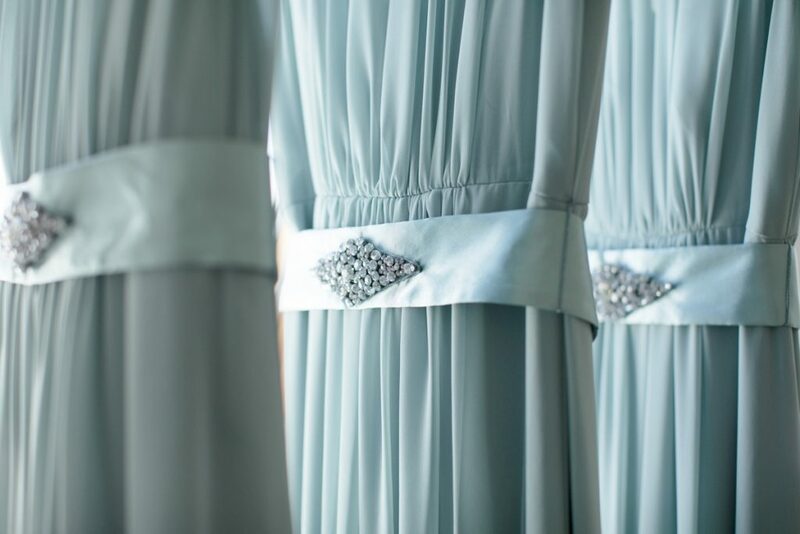 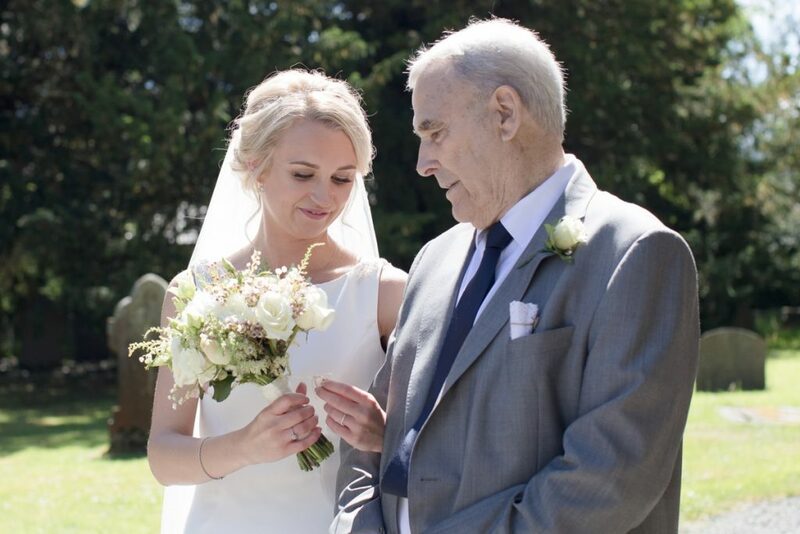 Alice: I also loved the whole morning getting ready at my parents beautiful house with my mum, bridesmaid, dad & brother. 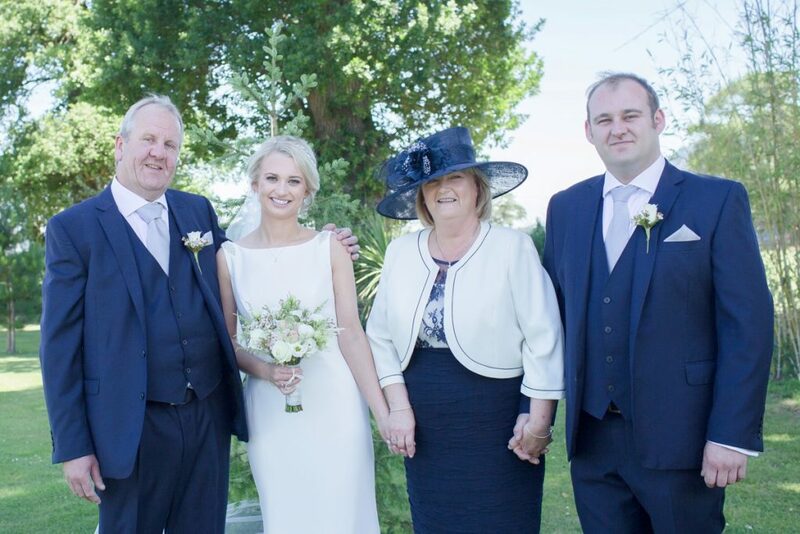 But we loved the whole day, being surrounded by our lovely family and friends. 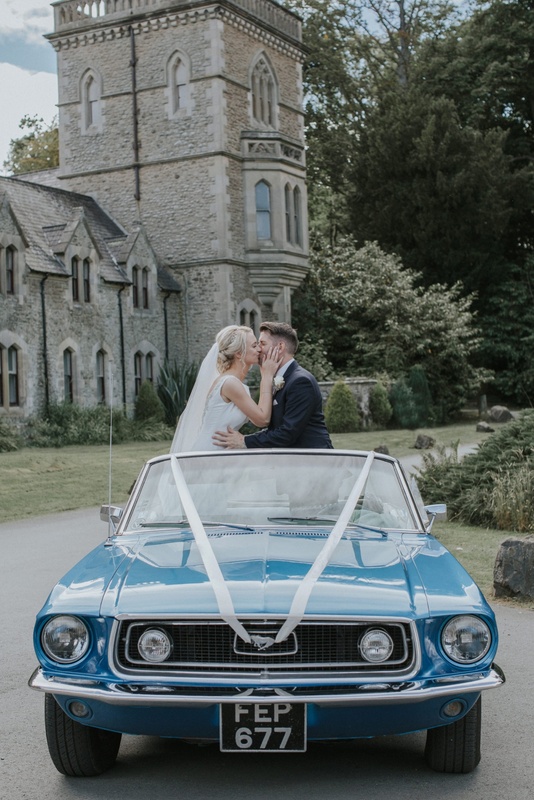 The beautiful flowers, the church service, the cake, the amazing blue Mustang car, the venue and of course the amazing Photographer :). 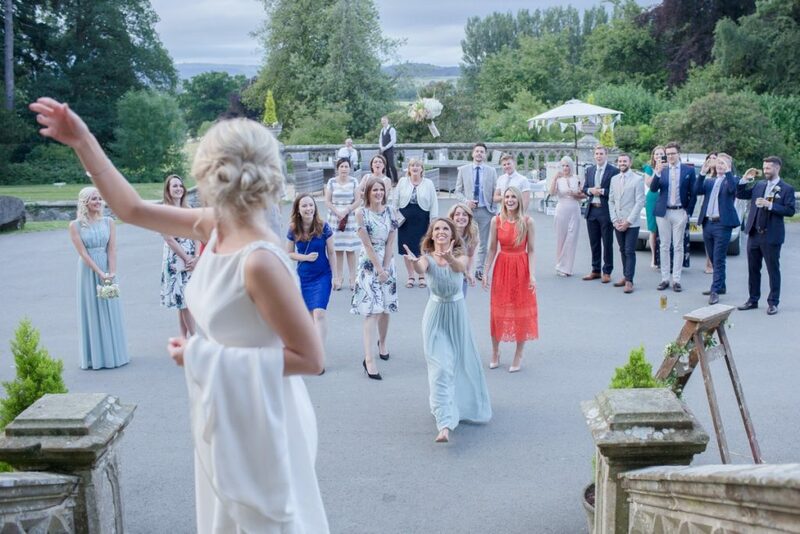 So yes we basically just loved the whole day and we didn’t want it to end. 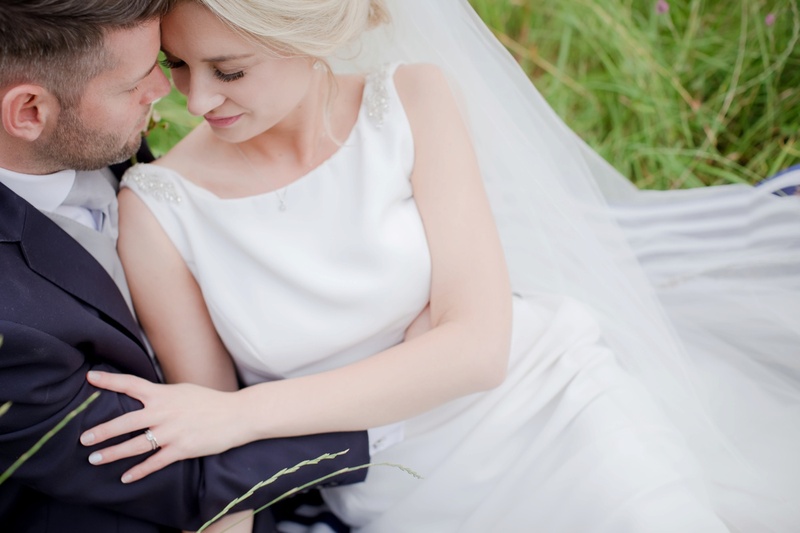 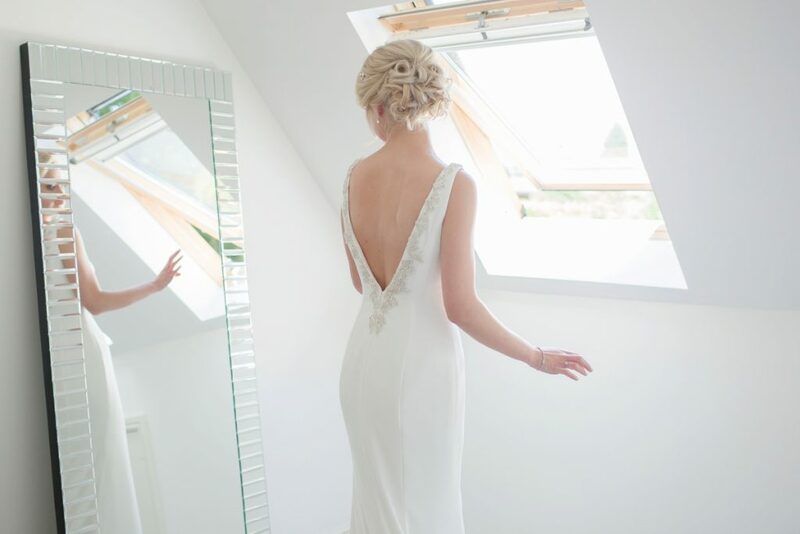 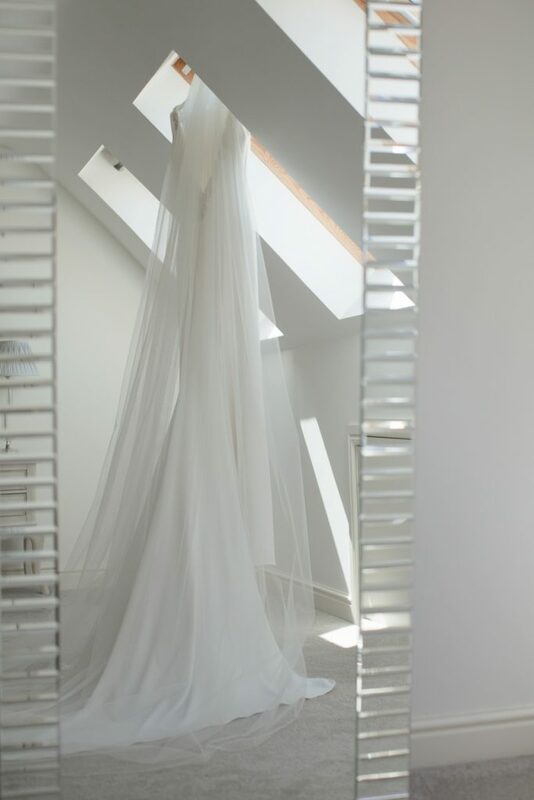 DRESS //Pronovias from Brides of Chester. 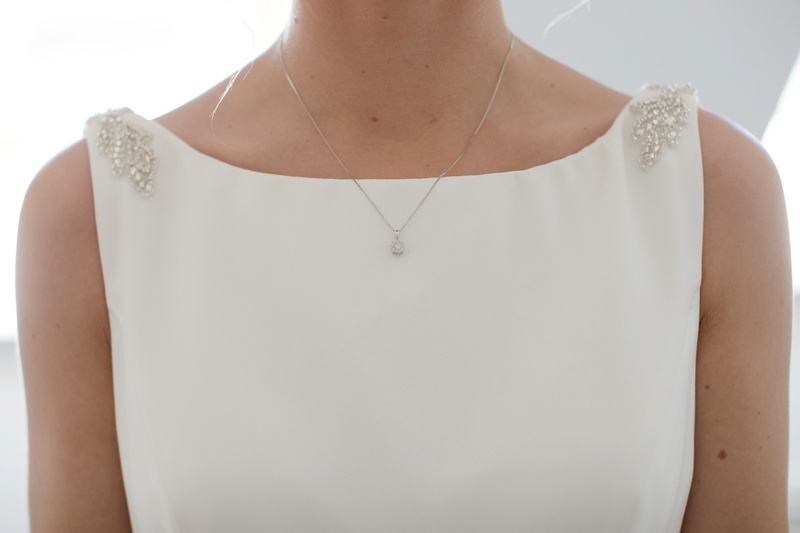 JEWELLERY // Necklace T H Barker Shrewsbury. 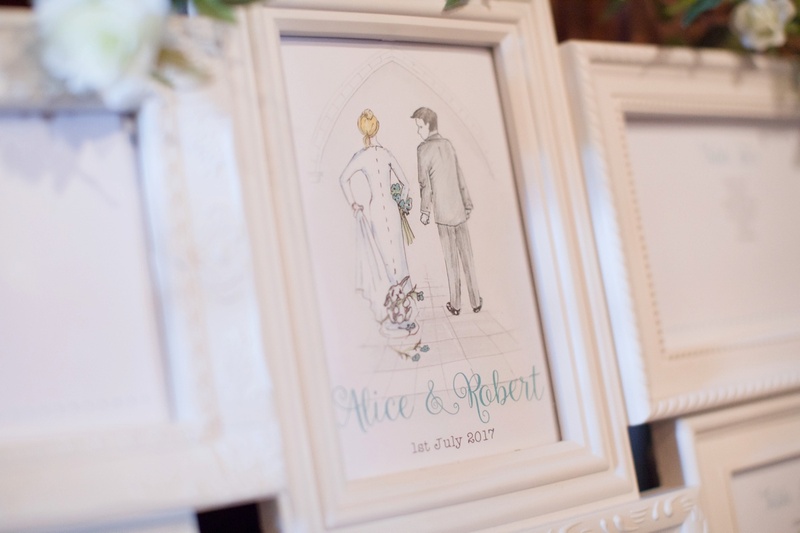 STATIONARY // Artwork for invites, order of service/table plan were drawn by aunt Pauline Nunns.